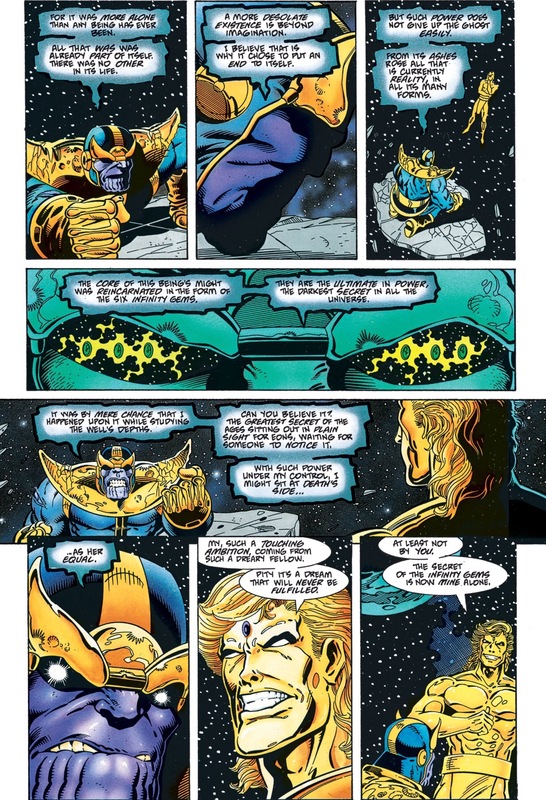 Adam Warlock tells Thanos that he can never wrest power because he knows deep down his soul isn’t worthy of ultimate power. 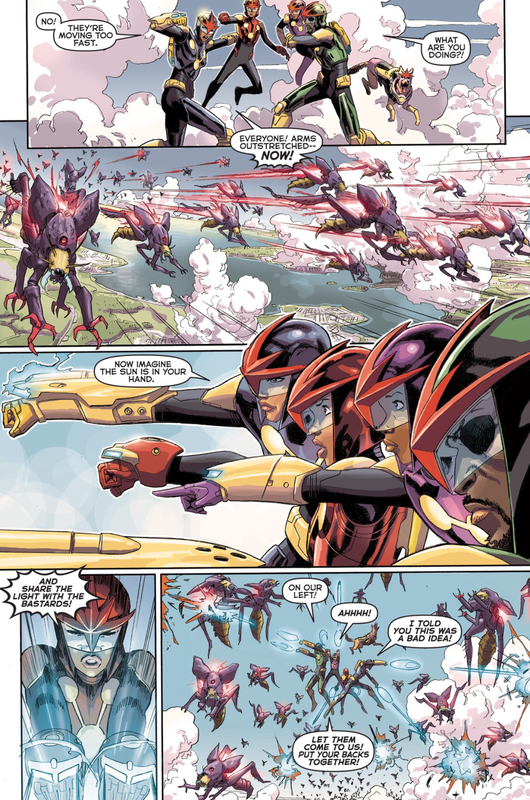 The Champion is one of the alien Elders of the Universe. 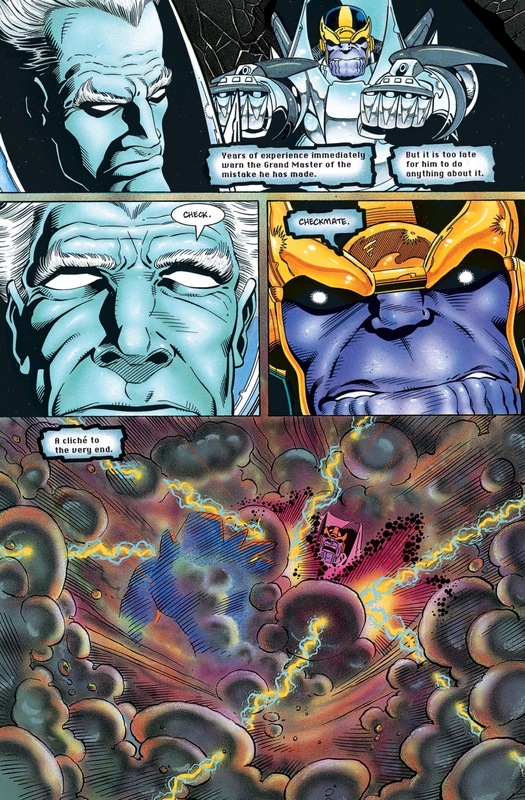 He is an immortal who claims to have been born billions of years ago in the Ancrindo Nebula within the direction of the Magellanic Clouds. 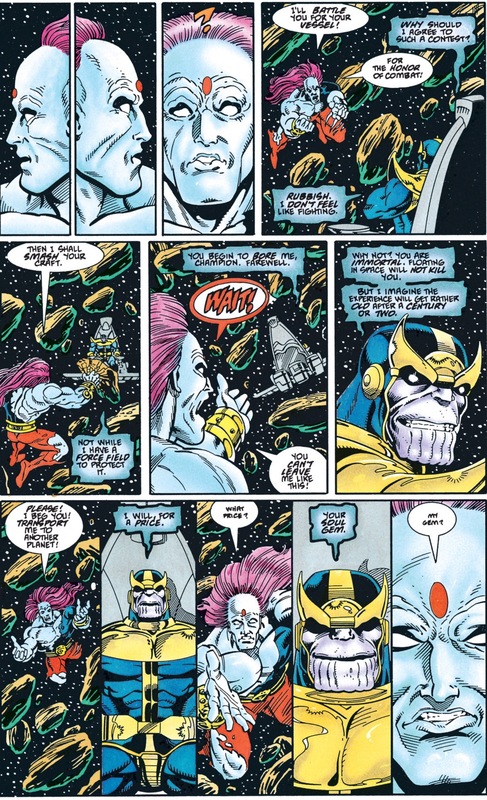 Although he wishes to prove himself the greatest warrior in the universe, he usually does so fairly. 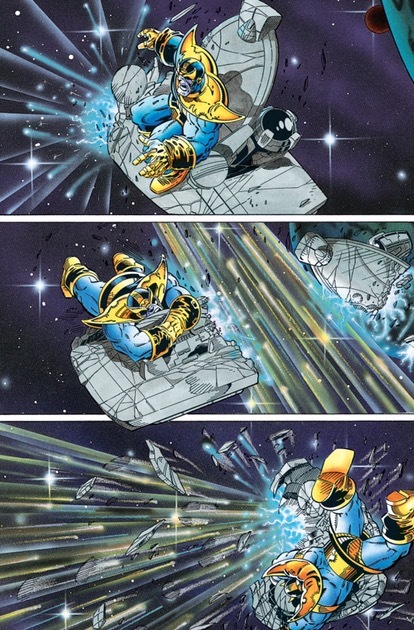 He keeps himself busy by fighting powerful warriors throughout the universe. 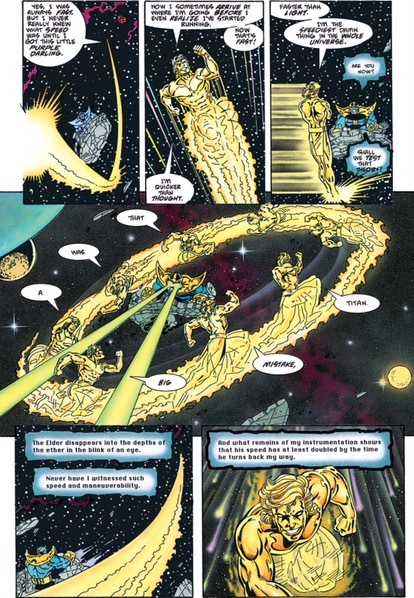 The Champion of the Universe’s Promoter Supreme named Proja preceded the Champion’s journey to Earth and recruited eight of Earth’s strongest male heroes (Champion having decided eons earlier that females were inferior and not worth fighting). 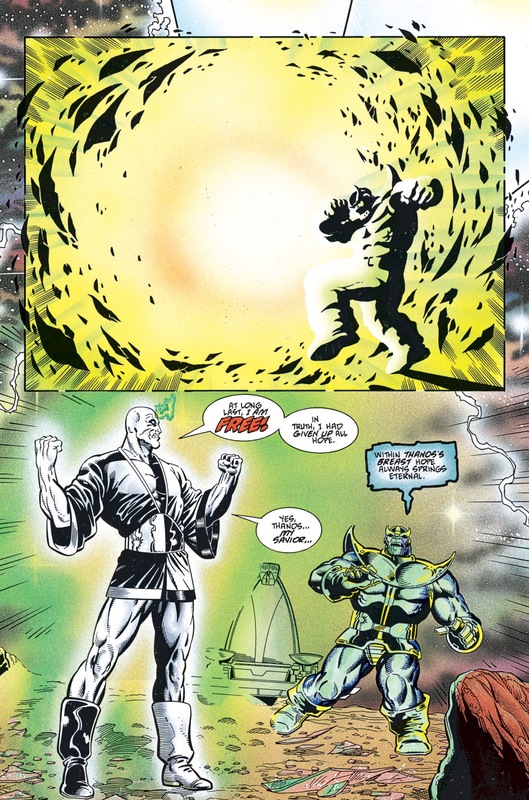 Champion then forced their participation by threatening to destroy the planet should they not fight him for those unworthy of the glorious gift that is the true spirit of competition would be “purified”. 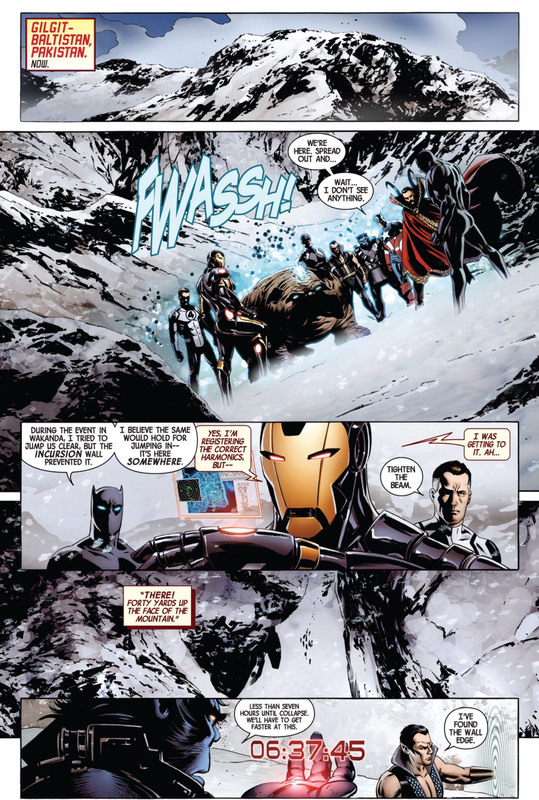 The Champion challenged the superheroes Thing, Namor, Hulk, Colossus, Sasquatch, Thor, Doc Samson, and Wonder Man to a boxing match in Madison Square Garden while a forcefield is around it and brought them to his extra-dimensional training facility to prepare for the match. 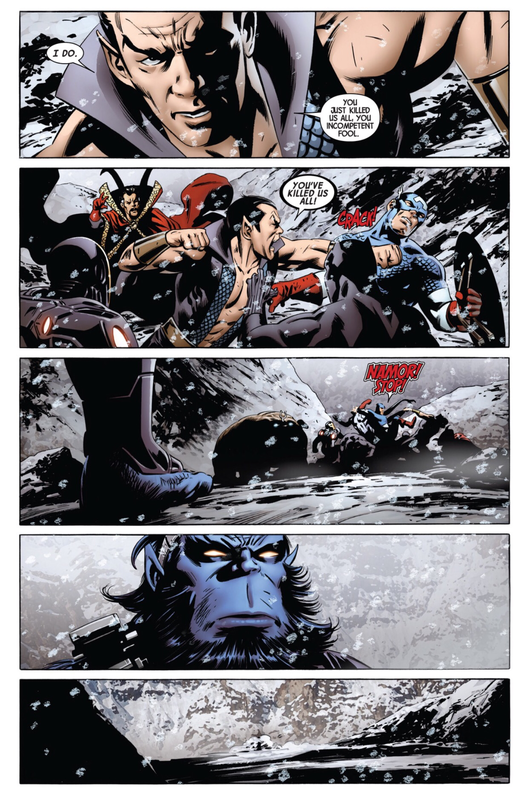 The Champion ended up disqualifying Namor for refusing to stoop to training. 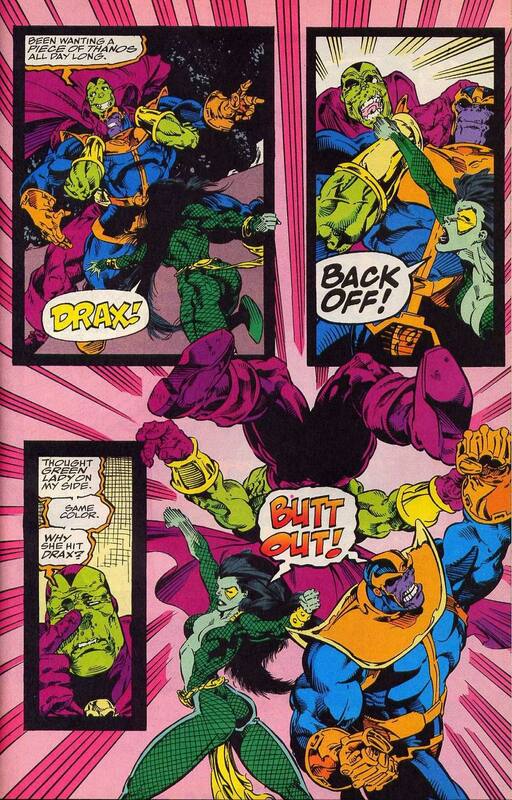 Then he disqualified Doc Samson for not being sufficiently skilled to qualify as an opponent. 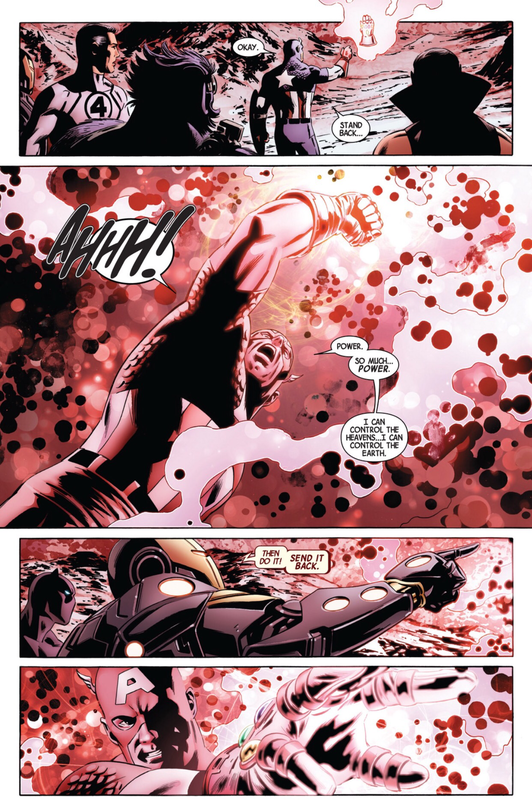 When it came to the day of the boxing match, Thor was disqualified for throwing his hammer Mjolnir (he was allowed to use it since he was powerless without it), Hulk was disqualified because the Champion refused to “soil his hands on a mindless animal,” Wonder Man was disqualified for tearing up the ring after being battered badly in the first round, Sasquatch was knocked out in the first round, and Colossus was defeated by technical knockout in the first round when he was unable to continue fighting. 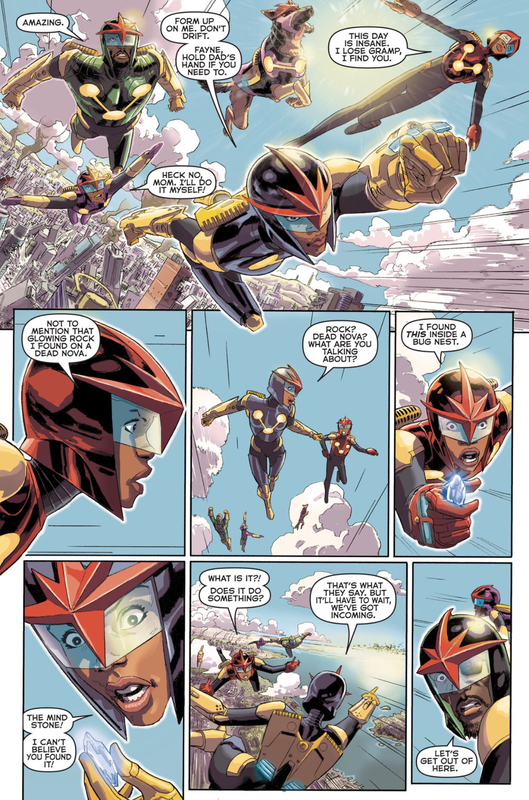 Alone of all of Earth’s superheroes not previously disqualified, Thing managed to put up a semblance of fight against the Champion and lasted longer than any previous opponent the Champion had fought. 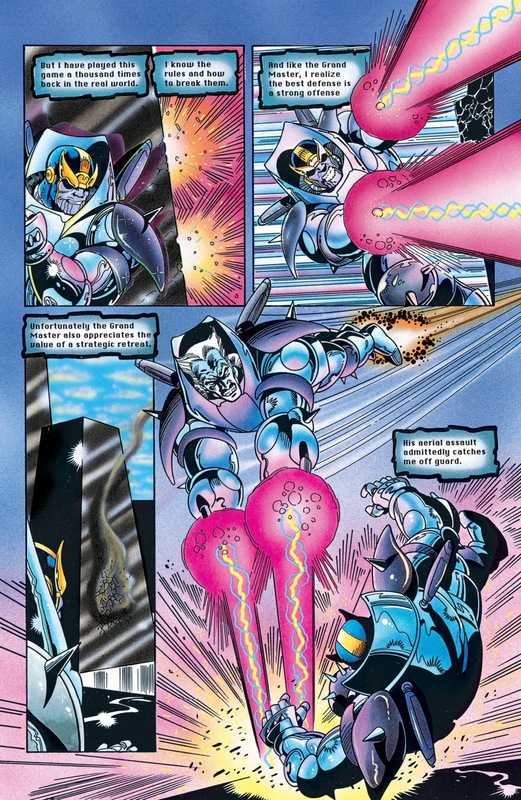 Of all the opponents the Champion ever faced, only Thing lasted more than two rounds. 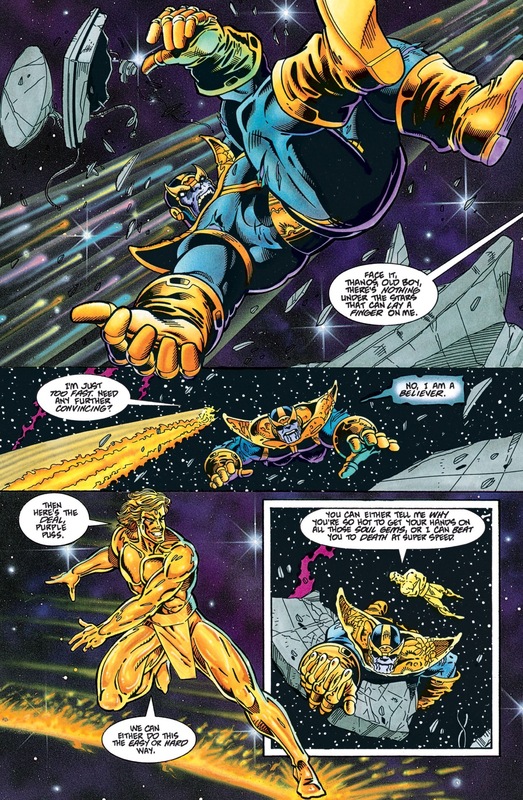 Although the Champion fought Thing and ultimately defeated him with ease, Thing would not surrender, as he was convinced that the entire planet was in danger. 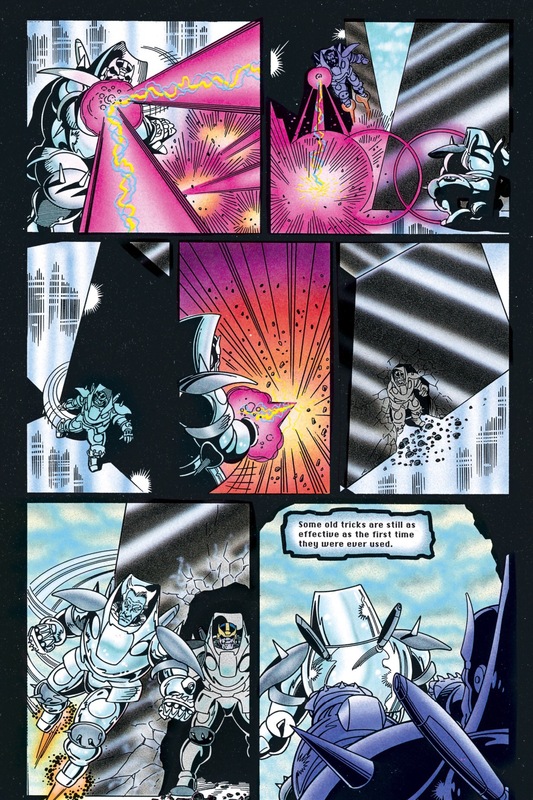 Thing believed that everyone depended on him, and fought on despite broken bones and getting knocked out of the ring. 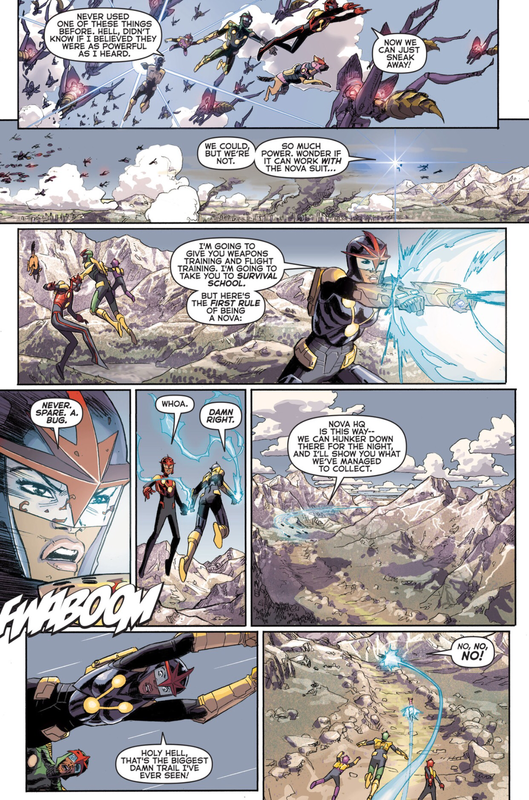 Thing astonished the Champion with his resilience and courage leading the Champion to say Thing was the opponent he had sought through the ages, the one who would require all of his might and skill. 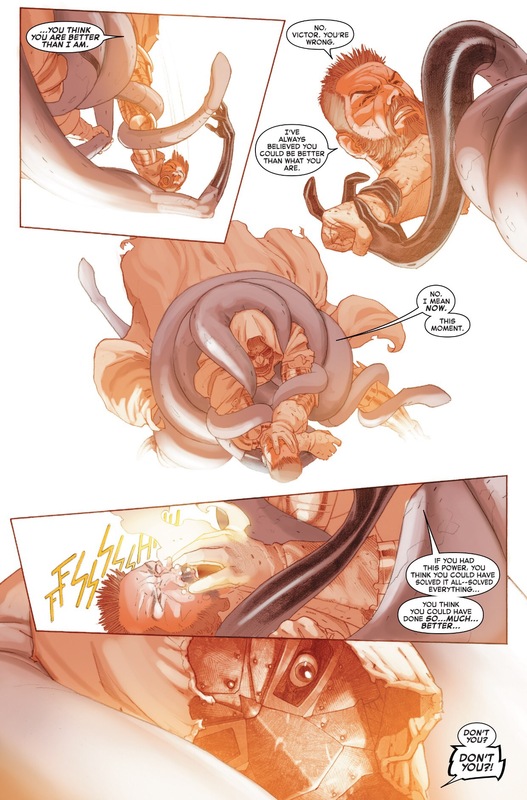 His jaw broken and severely beaten after collapsing at the end of the third round, Thing crawled across the ring to demand the fight continue when the Champion claimed victory. 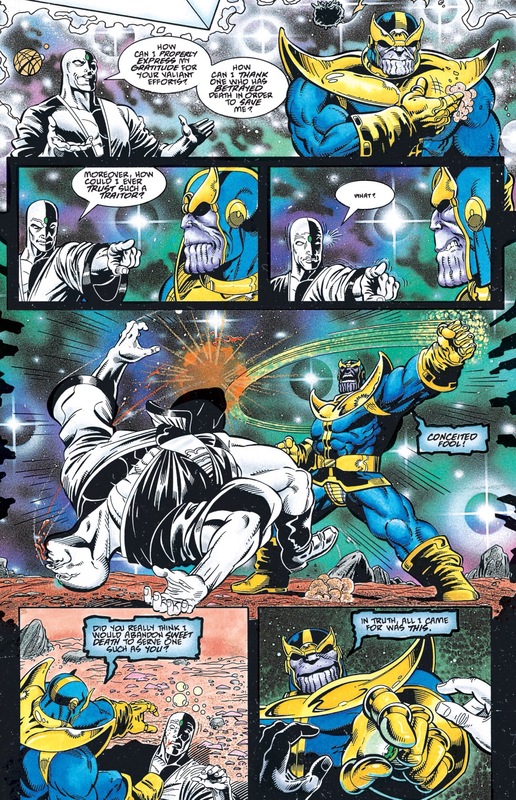 When forced to choose between killing his defeated opponent or yielding, the Champion yielded. 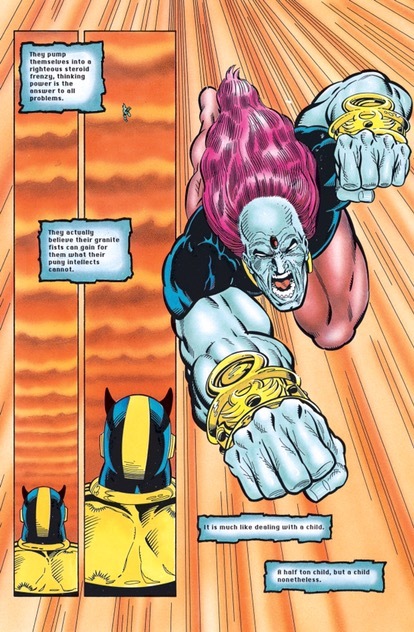 When Thing said he was “just too stupid and ugly to give up,” the Champion replied he could never defeat Thing. 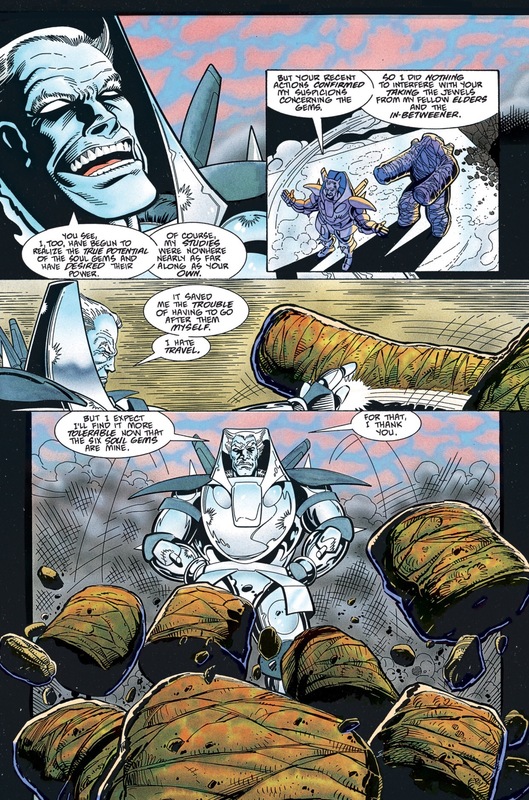 He might break his bones and his body, but he could not break his spirit. 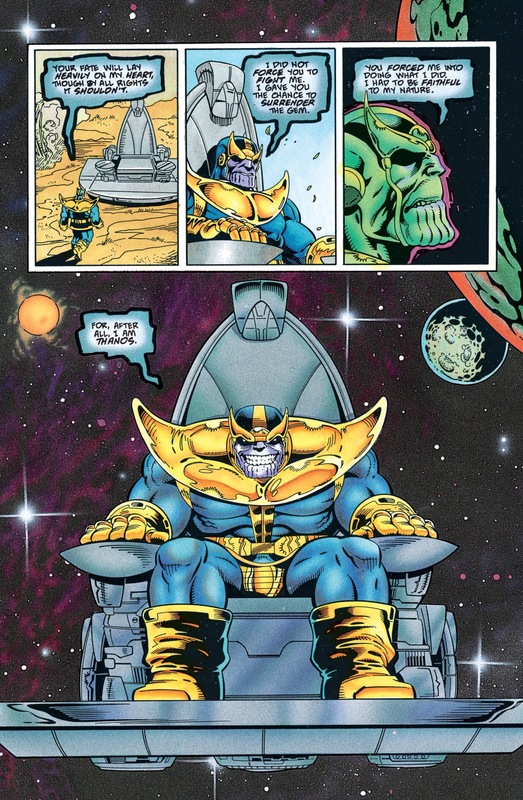 The Champion then stated that any planet which could produce a champion such as the Thing was a truly worthy world. 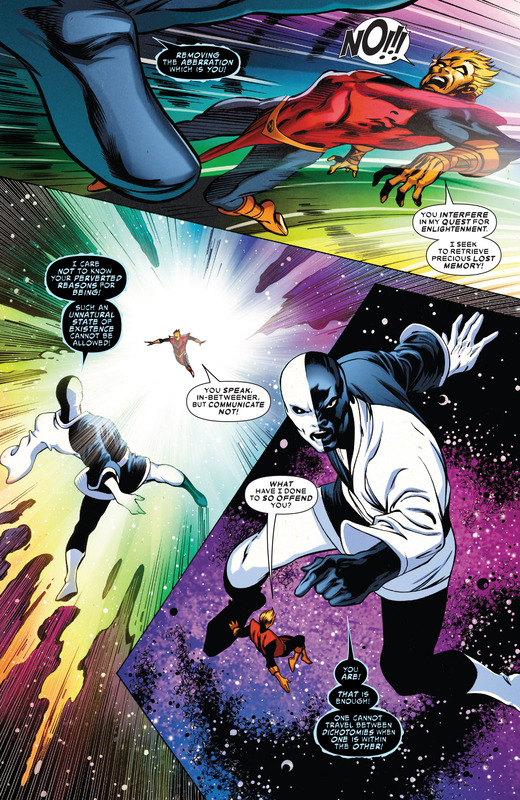 The Champion later attempted to kill the Silver Surfer to prevent him from interfering with a Skrull plot to use Nova to force Galactus to destroy the Kree Empire. 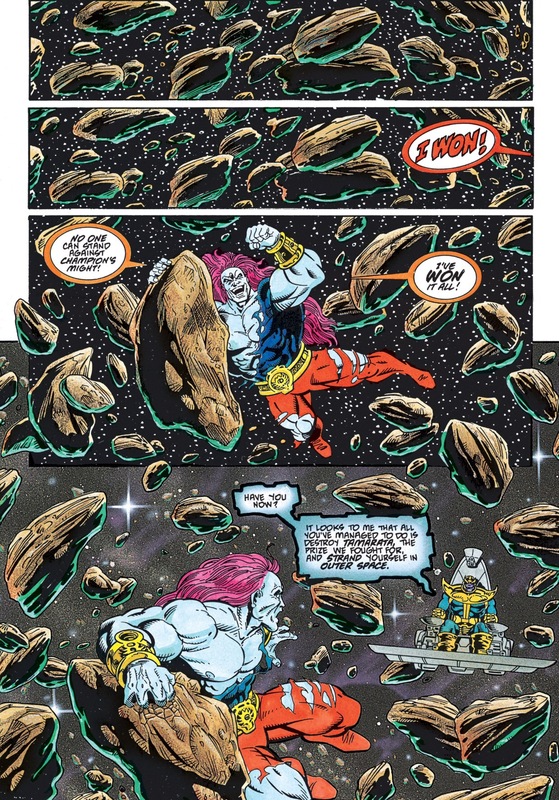 The Champion was overpowered by the Silver Surfer, suffering his first known defeat in combat (however it is notable the Surfer used the Power Cosmic to blast the Champion rather than engage him physically). 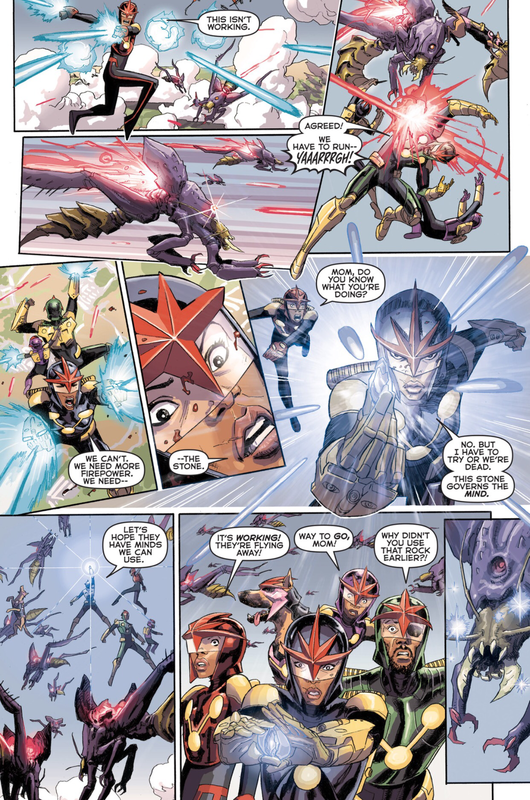 The Champion was one of the eleven Elders who sought to restart the universe by killing Galactus. 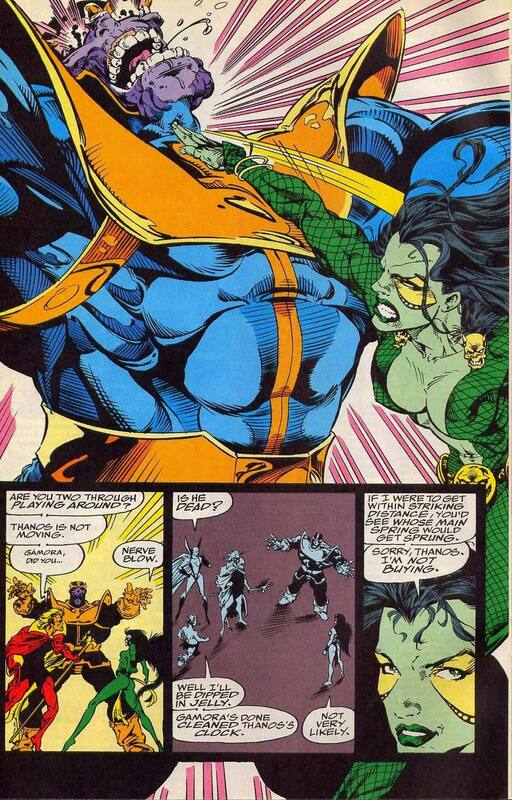 He attempted to kill Mantis but she was rescued by the Silver Surfer. 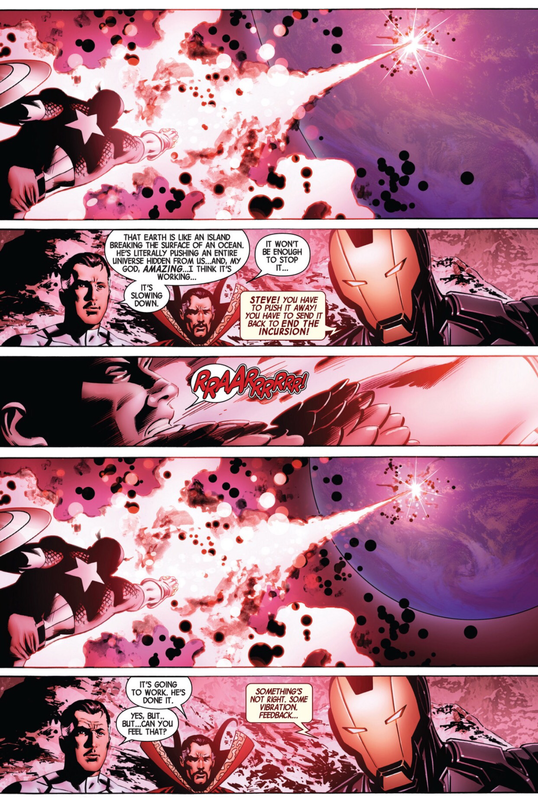 The Champion then battled Galactus and the Silver Surfer but was converted to energy and consumed by Galactus. 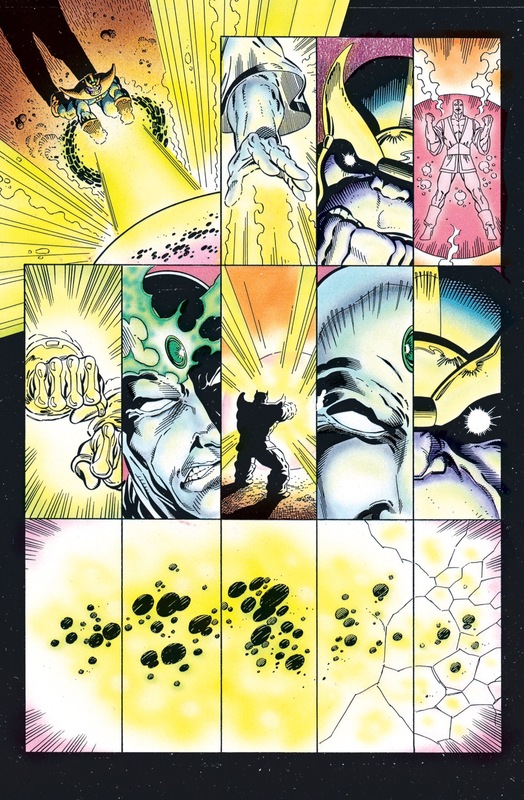 The Champion and the other four Elders devoured by Galactus caused Galactus “cosmic indigestion” from within until they were forced out of him by Master Order and Lord Chaos. 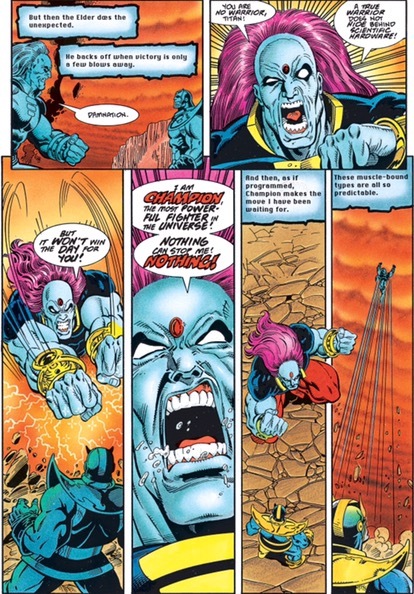 When asked to aid the Silver Surfer and Nova in helping Galactus to defeat the In-Betweener the Champion was one of the four Elders who agreed and he physically restrained the Grandmaster to prevent him from opposing them. 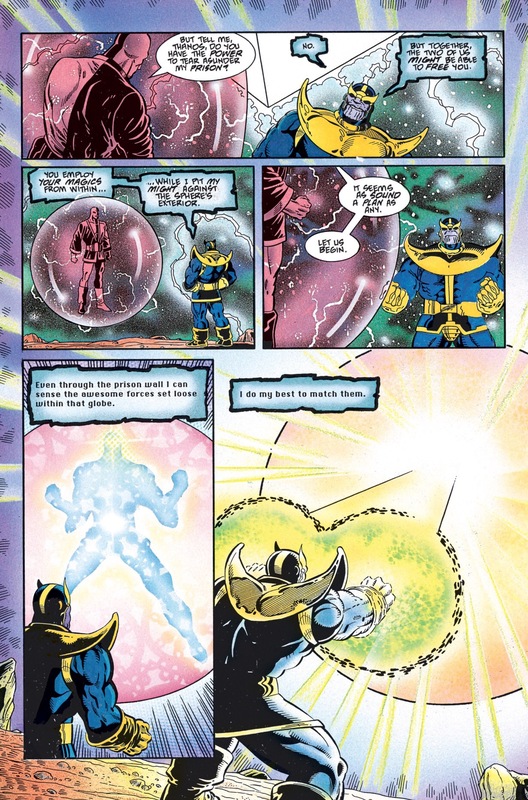 Once the In-Betweener had been defeated by Galactus the five Elders used their Infinity Gems to instantaneously travel very far away from Galactus and his vengeance. 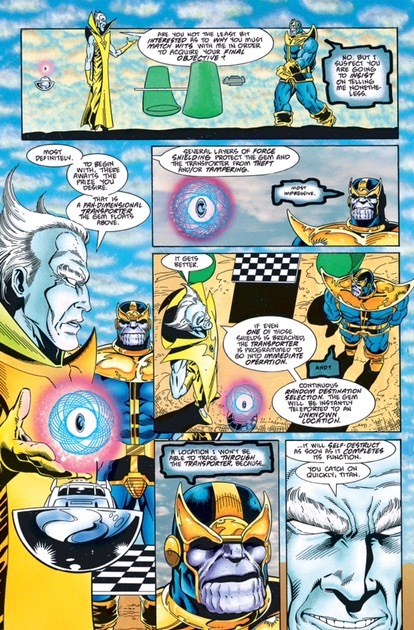 As a result, the Champion ended up with the Power Gem (one of the Infinity Gems) in his possession. 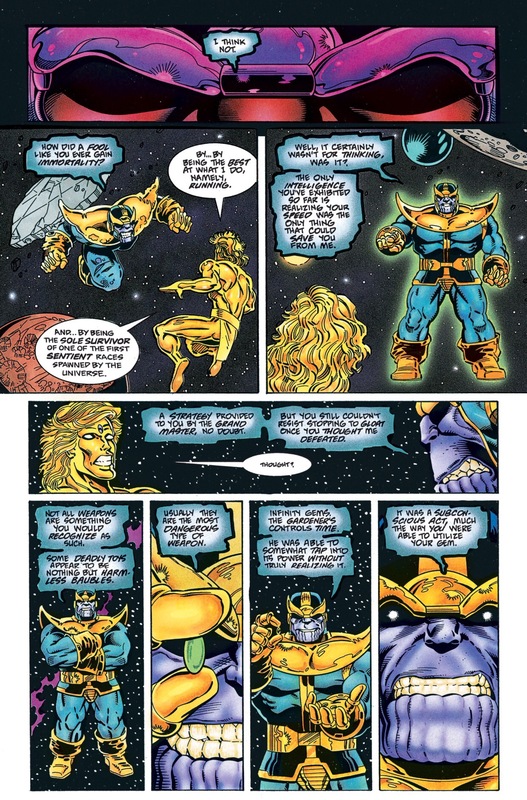 Thanos eventually tracked the Champion down to the planet Tamarata, and tricked the Champion into causing a seismic disruption that destroyed Tamarata, forcing him to forfeit his Infinity Gem for transport to another planet. 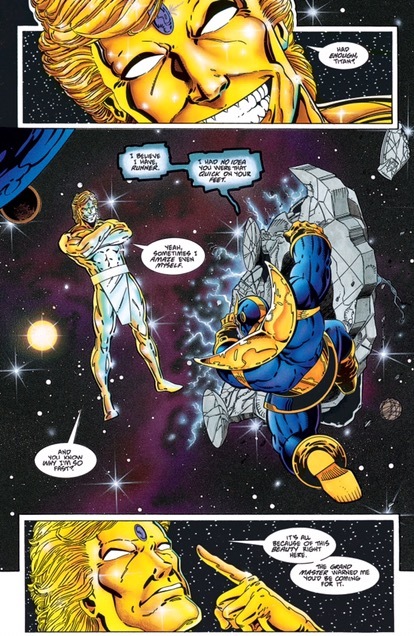 However, instead of helping the Champion after receiving the Gem, Thanos caused the Champion to fall to another world. 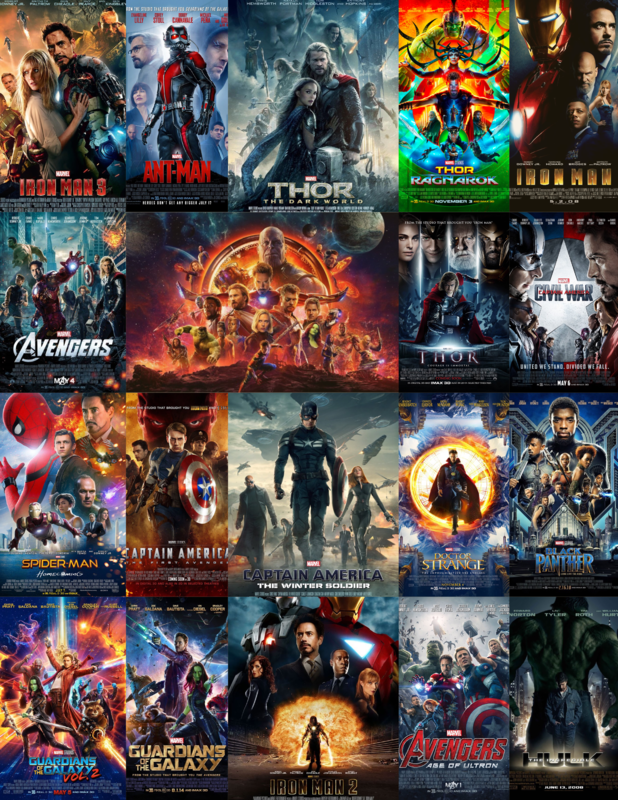 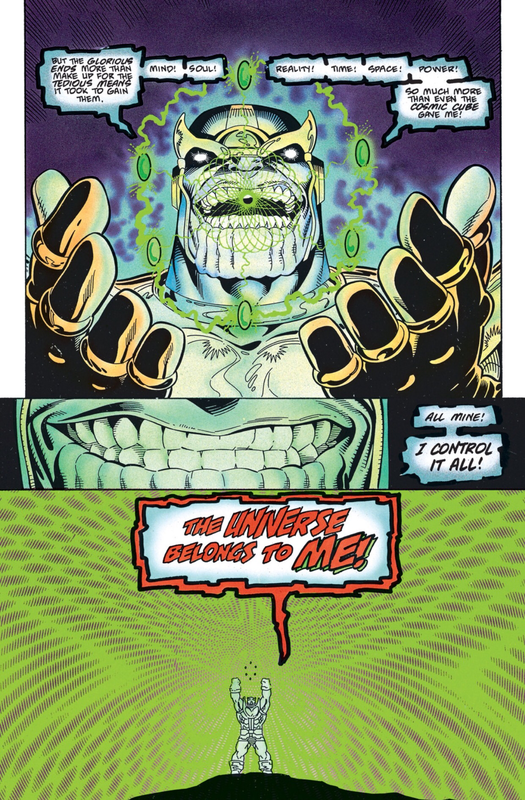 This entry was posted in Champion of the Universe, Infinity Gems, Infinity Guantlet, Infinity War, Marvel Comics, Power Stone, thanos, Tryco Slatterus and tagged Champion of the Universe, Grandmaster, In-Betweener, infinity gems, infinity quest, infinity stones, soul gems, thanos, The Collector, The Gardner, The Runner on May 8, 2016 by lowbrowcomics. 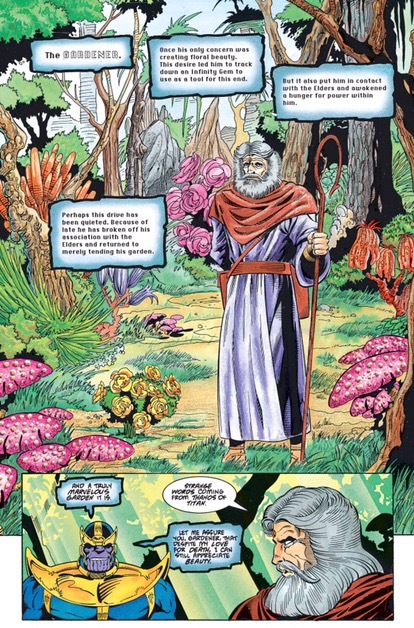 The Gardener was once Ord Zyonz, a being who came into existence in the Seyfert Galaxy M-77. 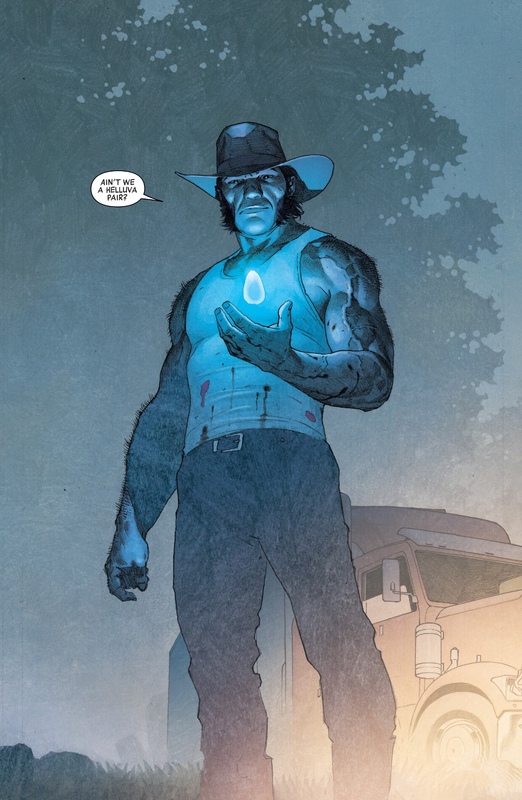 Like all the other Elders, he belongs to one of the first races to develop since the Big Bang and thus is nearly immortal and extremely powerful. 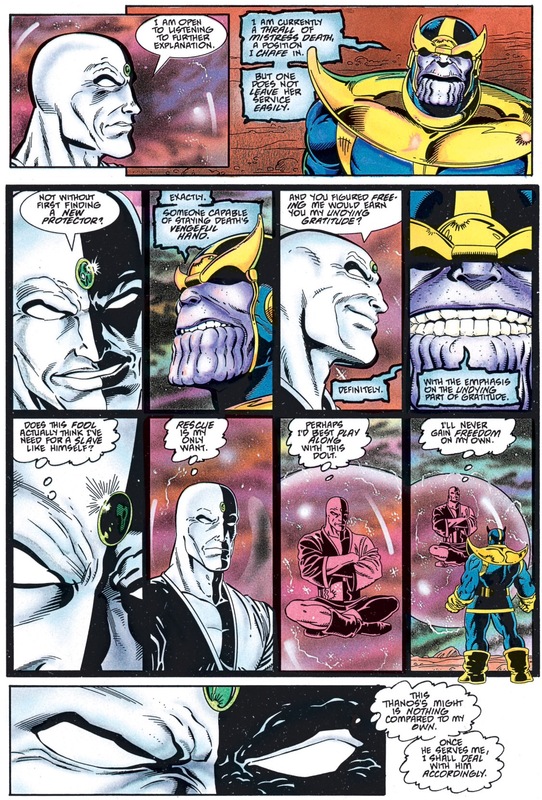 He is absolutely obsessed with peace and quiet, and with his garden. 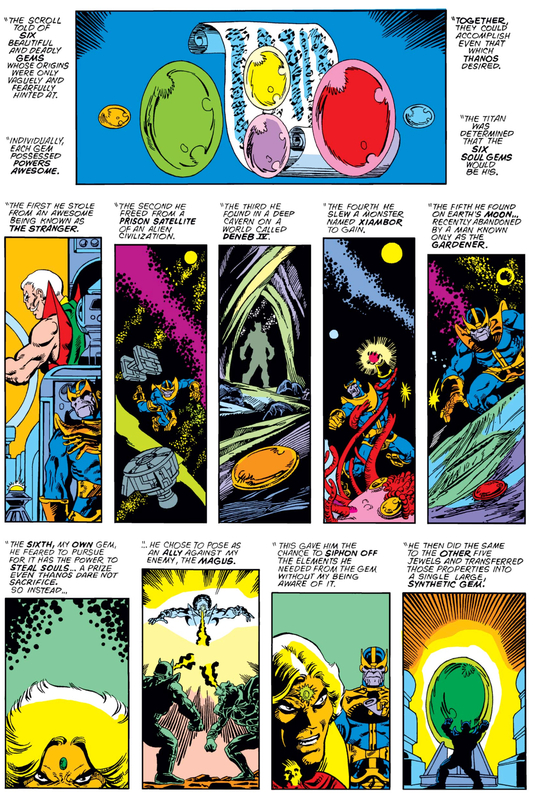 At one time he created an amazing lush garden in the Blue Area of the Moon using his Infinity Gem, the Time Gem. 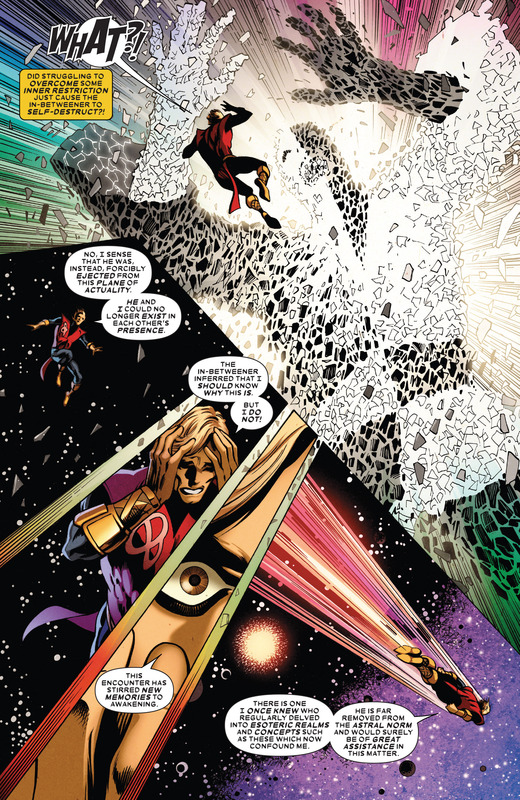 This was eventually brought to a halt when Adam Warlock,Spider-Man and the Stranger were caught up in a battle on the moon and he used his gem along with the Soul Gem of Warlock and successfully slowed down the Stranger enough to make him leave. 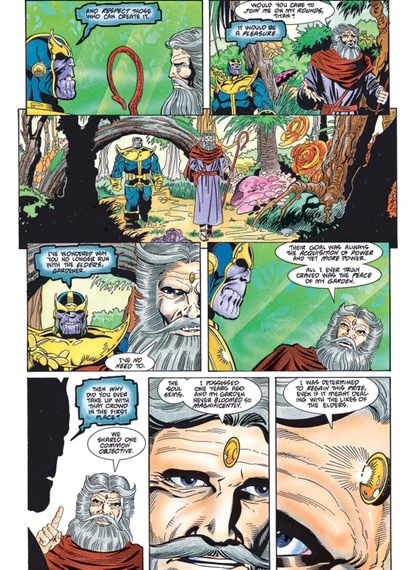 After using his gem in battle it was corrupted and he believed he could no longer use it to make things grow; he left it behind in search of a new place for his garden (where it stayed until Thanos found it). 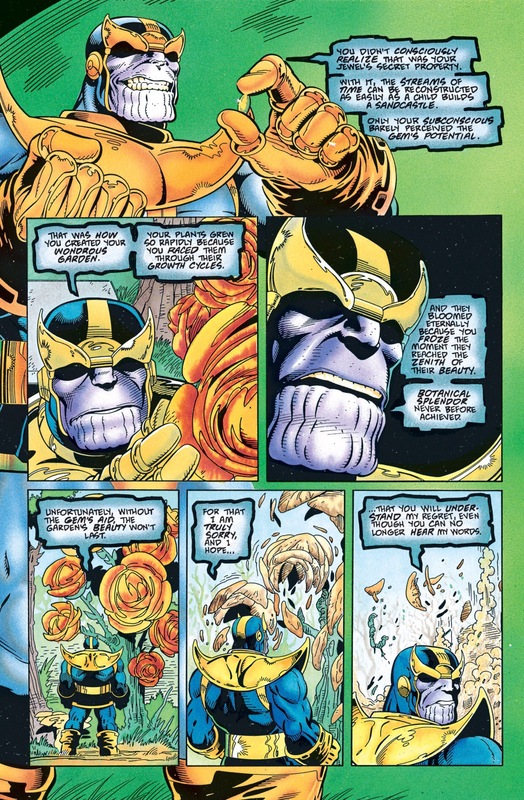 The Gardener was later revealed to possess Adam Warlock’s Soul Gem. 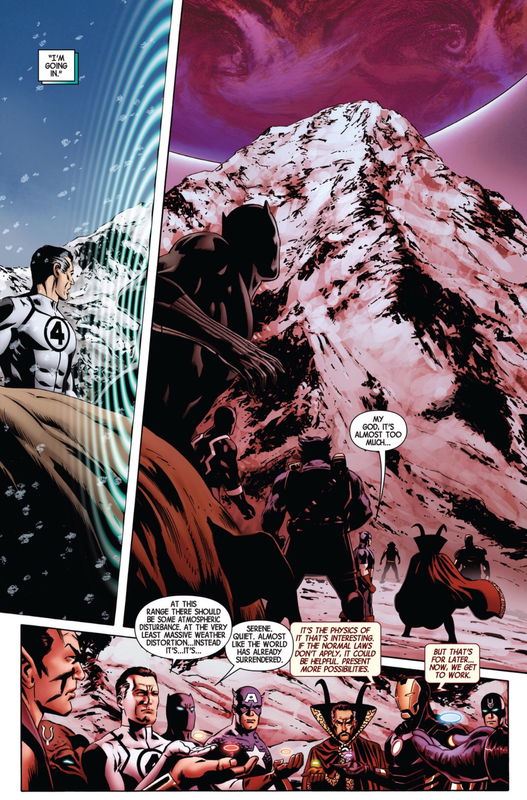 He journeyed to K’ai to create a paradise valley. 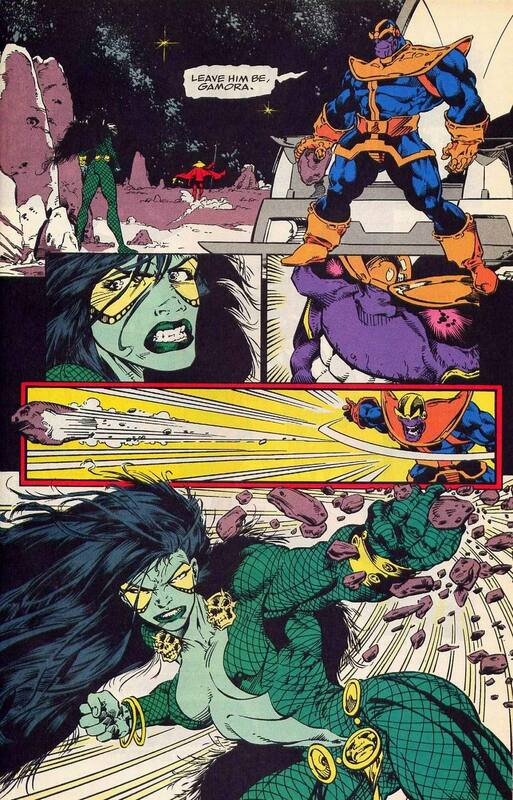 There, he battled the Hulk, and briefly lost the gem, but he soon had it in his possession again. 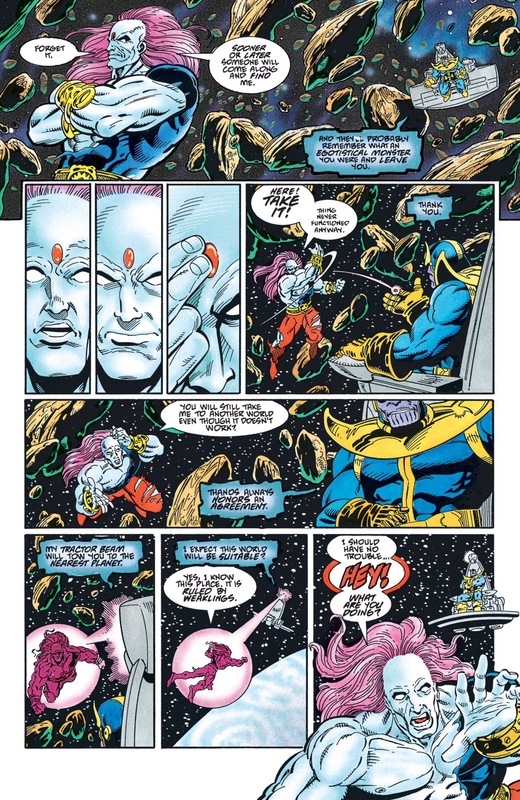 The cosmic entity Grandmaster had, by proxy, lost a contest for the entity Death. 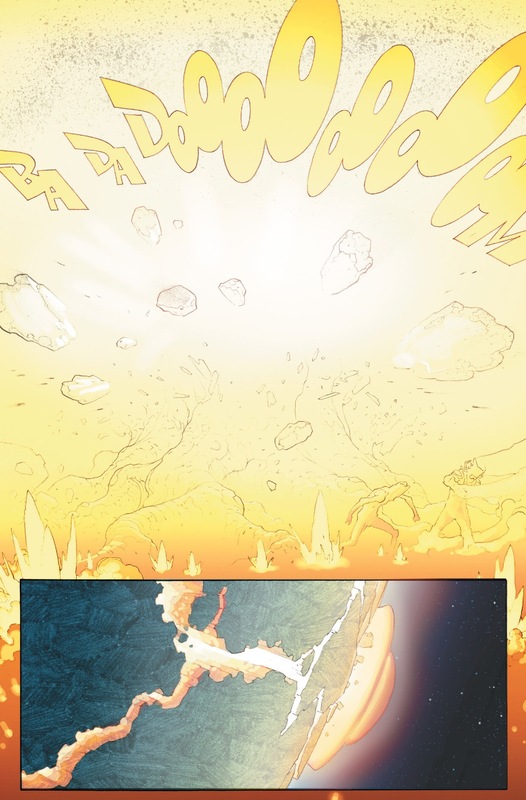 Angered, she forbade him and his fellow Elders, including the Gardener, from entering her realm. 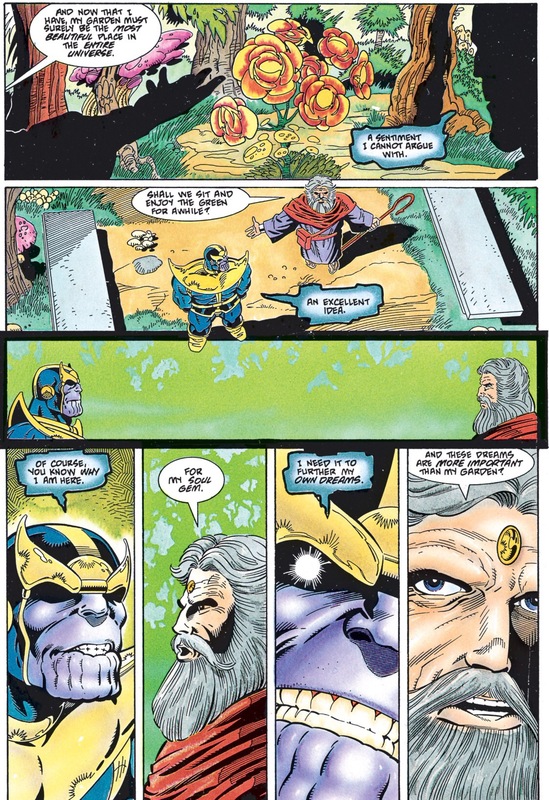 Thus the Gardener became immortal. 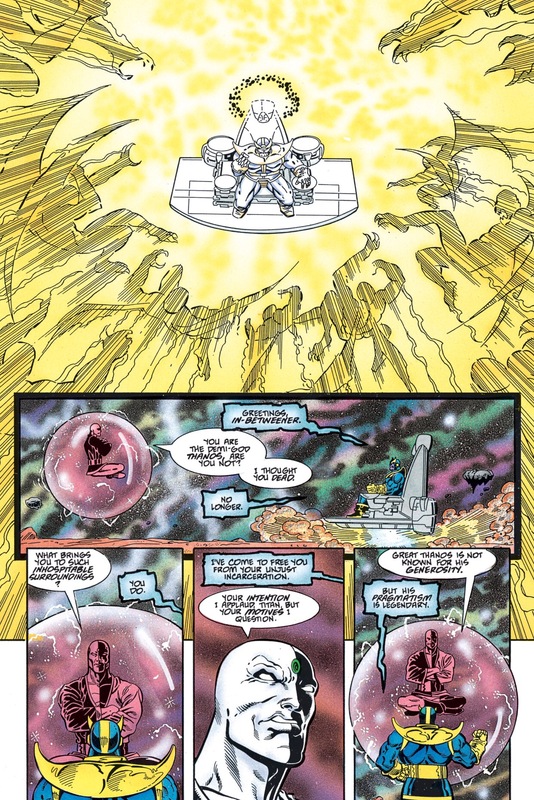 The Gardener was seen among a group of abstract and near-omnipotent beings (including Uatu the Watcher, Eternity, the In-Betweener, the Living Tribunal, Lord Chaos, Master Order, and a Celestial) confronting the Beyonder. 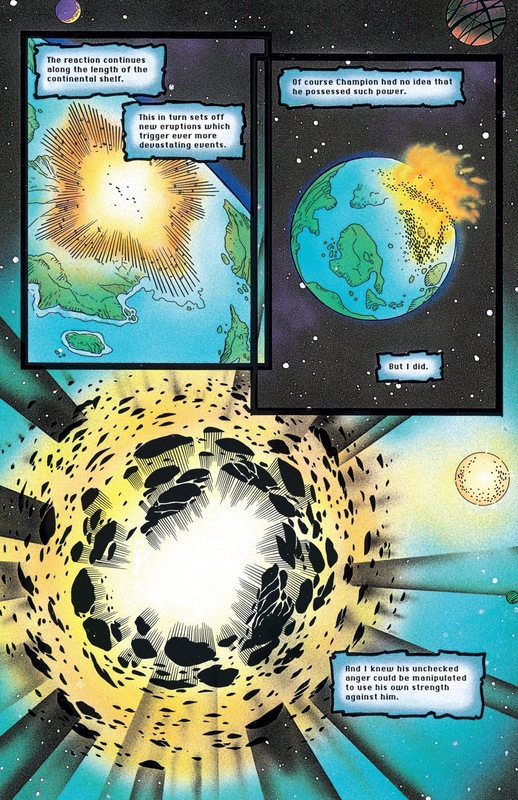 The Gardener was one of the eleven Elders who allied together to restart the universe by killing Galactus. 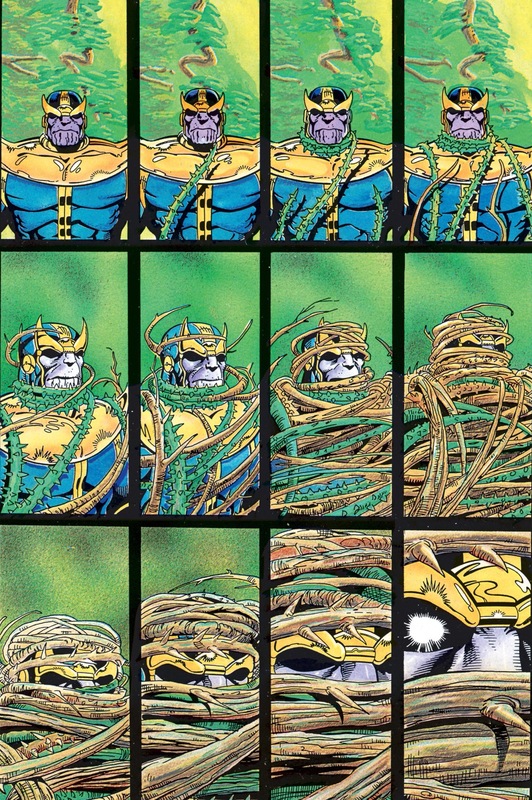 He used Earth plants to capture Mantis. 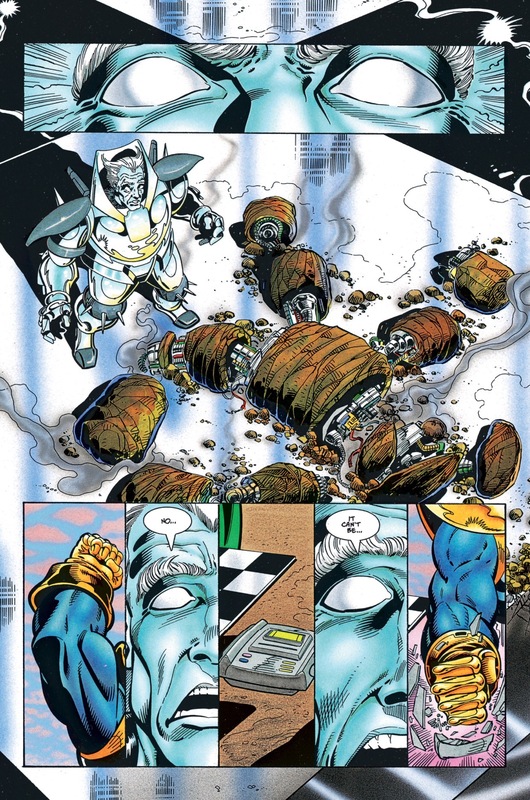 He battled Galactus and theSilver Surfer, but was converted to energy and consumed by Galactus. 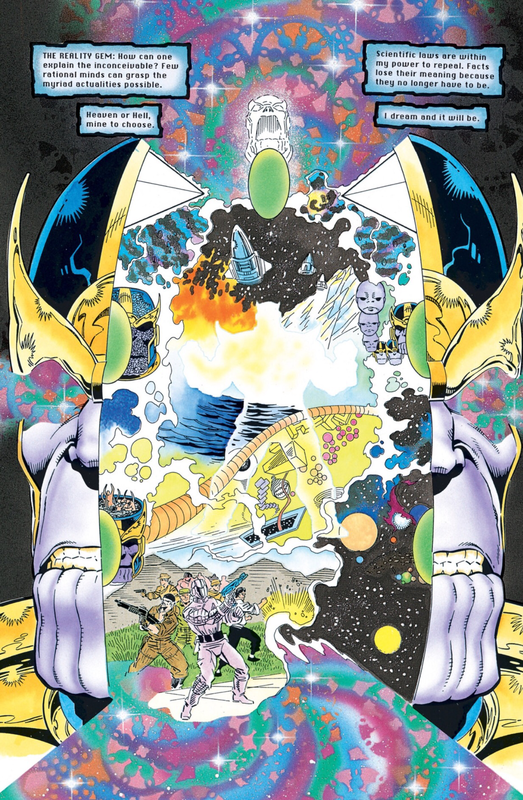 Along with the other four Elders who were devoured by Galactus, he caused Galactus “cosmic indigestion” from within until they were forced out of him by Master Order and Lord Chaos. 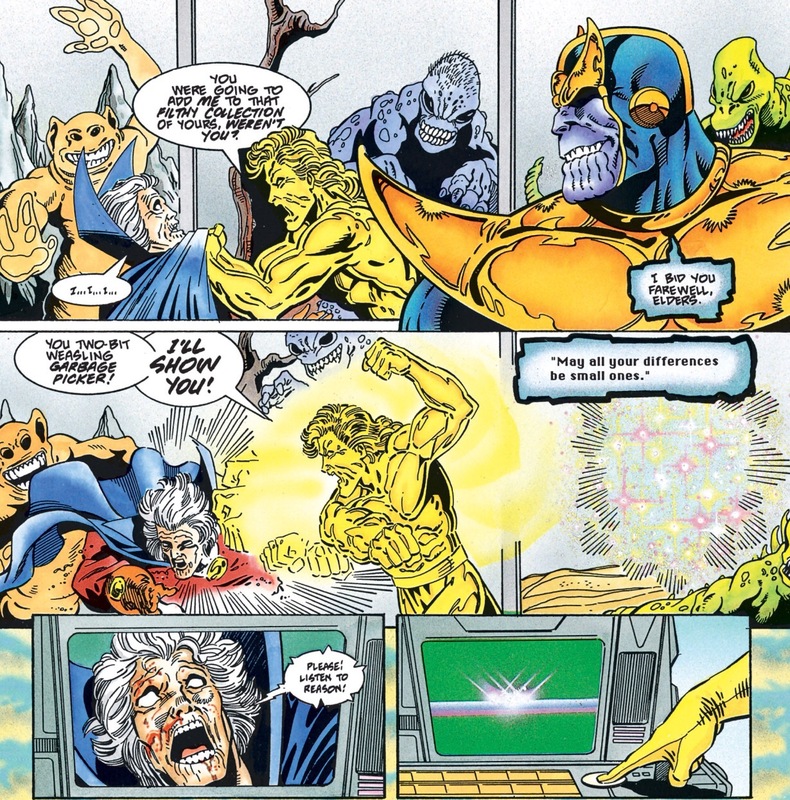 The Gardener was one of the four Elders who aided the Silver Surfer and Nova in helping Galactus to defeat the In-Betweener. 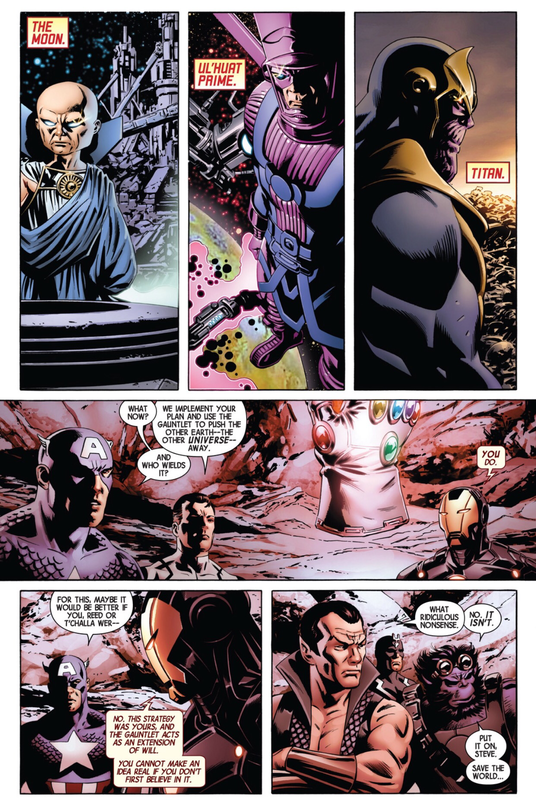 Once that was done the five Elders used their Infinity Gems to instantaneously travel very far away from Galactus and his vengeance. 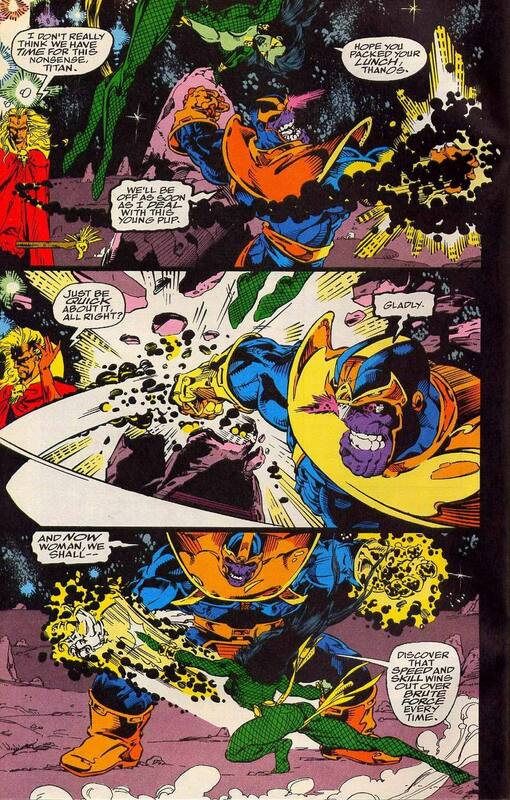 Afterwards, the Gardener retained possession of the Time Gem and used it once more. 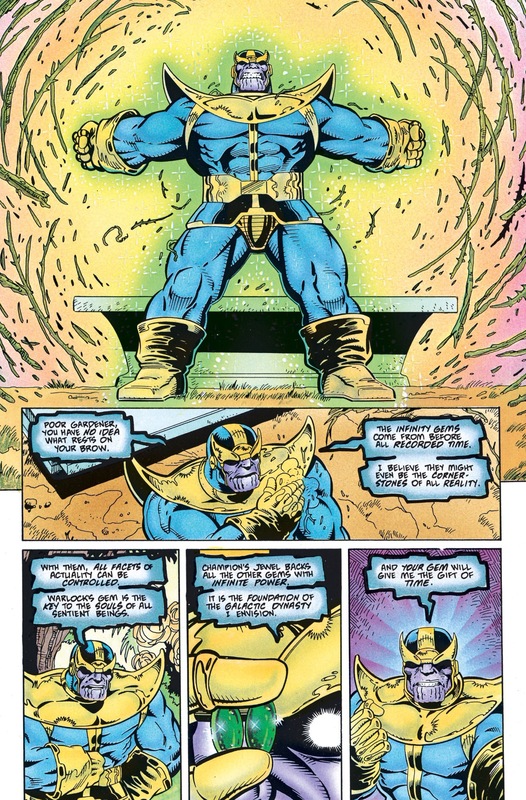 Thanos confronted him, using the Gems he had already recollected to seemingly kill the Gardener and take the Time Gem, as part of his ultimate goal to create the Infinity Gauntlet. 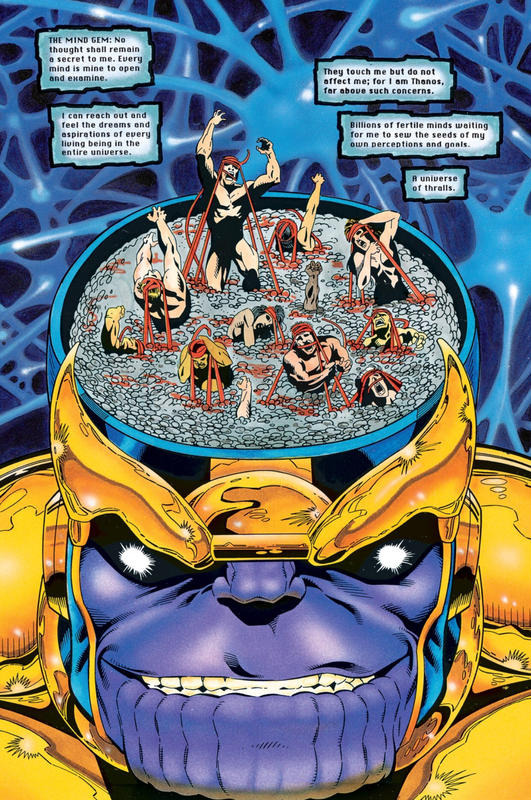 Later, during the Infinity War incident, the Contemplator spotted the Gardener in the Dimension Of Manifestations among a group of abstract and near-omnipotent beings who were conversing with the Beyonder. 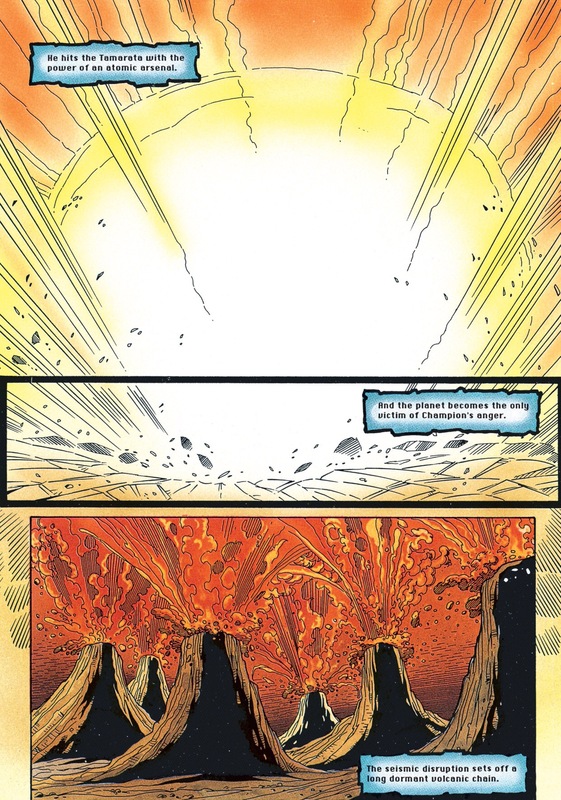 However, that was only a “reflection” (recording) of a manifestation-event that had taken place years earlier (and which is listed above). 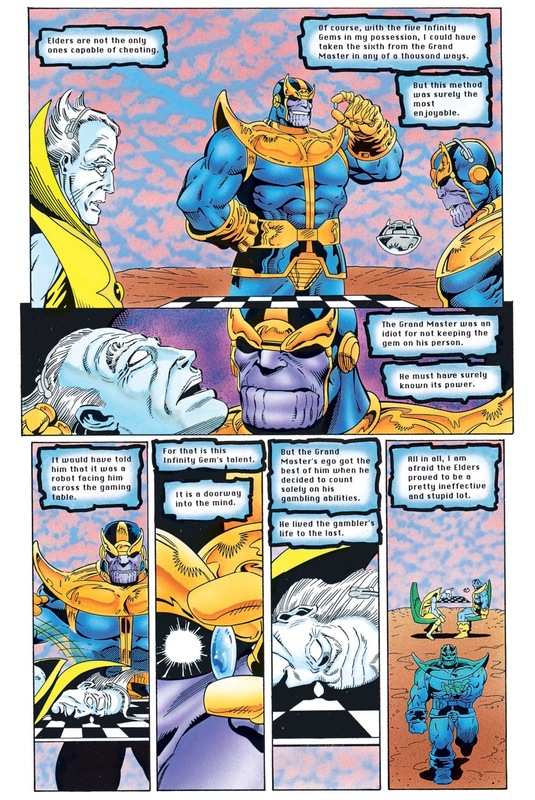 This entry was posted in Infinity Gems, Infinity Guantlet, Infinity War, Marvel Comics, thanos, The Gardener, Time Stone and tagged Champion, Grandmaster, In-Betweener, infinity gems, infinity quest, infinity stones, soul gems, thanos, The Collector, The Gardner, The Runner on May 8, 2016 by lowbrowcomics. 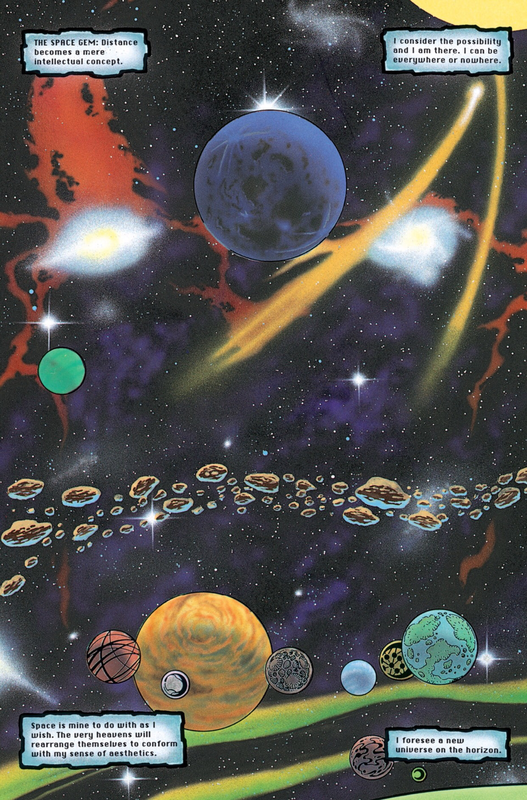 The Runner is a traveler and explorer who has lived for billions of years. 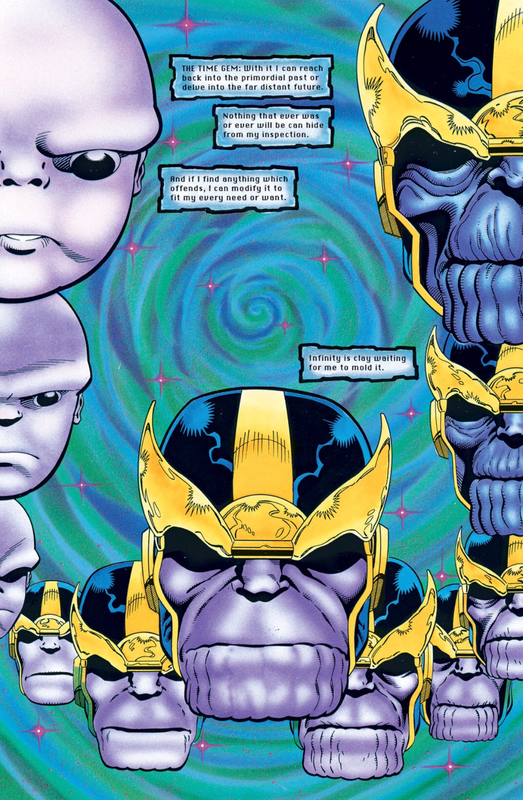 He seeks complete freedom and to see all there is to see. 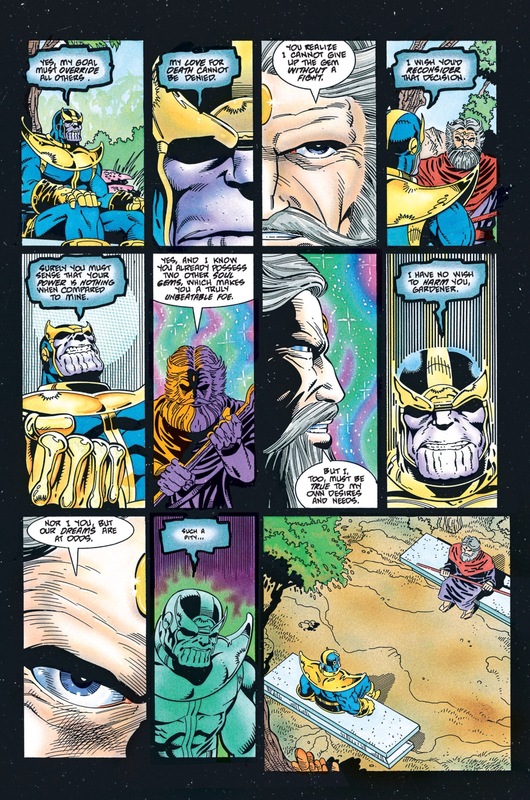 As such, he has spent his long life traveling across and experiencing the universe. 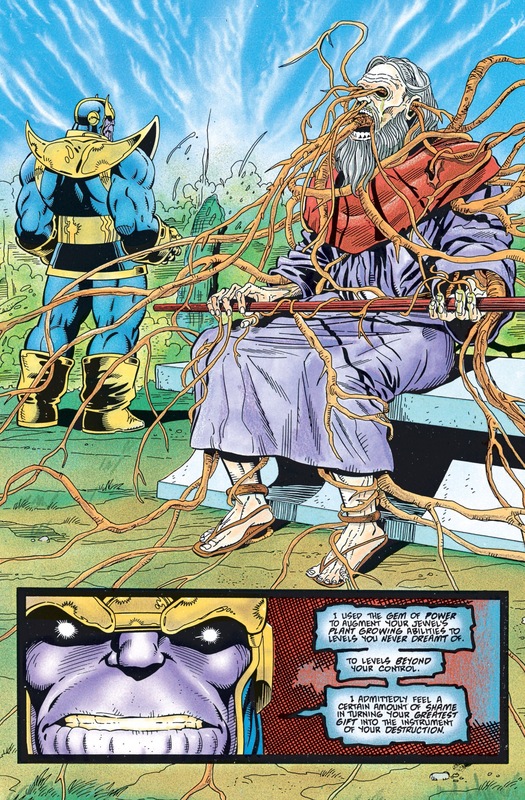 He is regarded as one of the more pacifistic Elders. 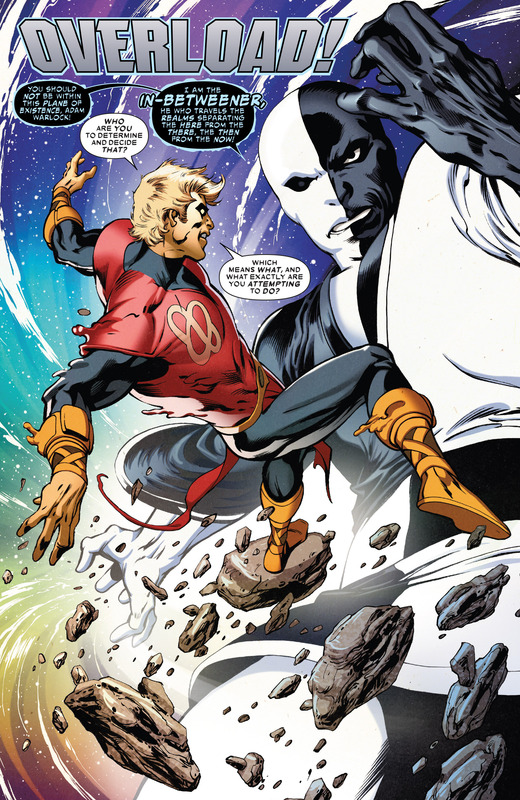 He once encountered Moondragon when she first left Titan, years ago. 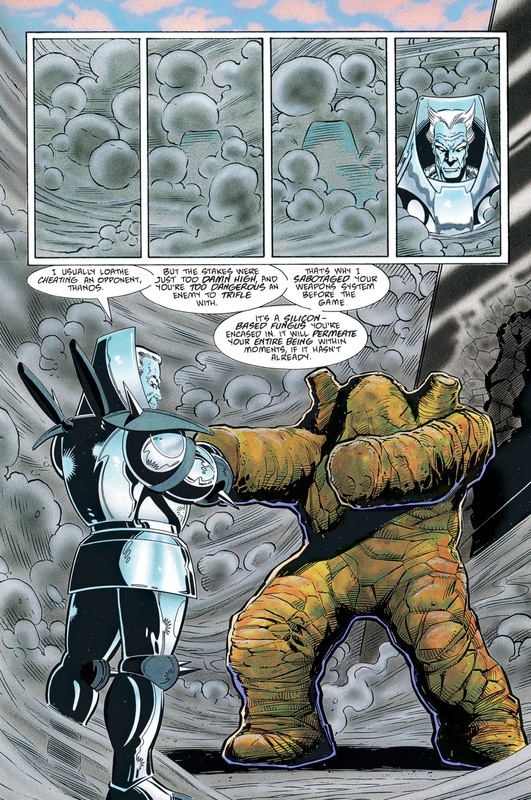 The Runner was one of the eleven Elders who conspired against Galactus and battled the Silver Surfer in an attempt to gain power in a new, re-created universe. 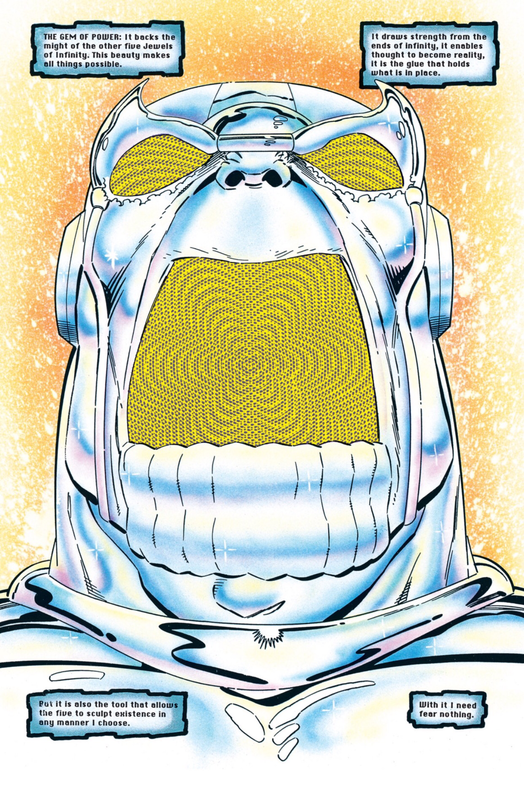 He battled Galactus and the Silver Surfer, and was converted to energy for consumption by Galactus. 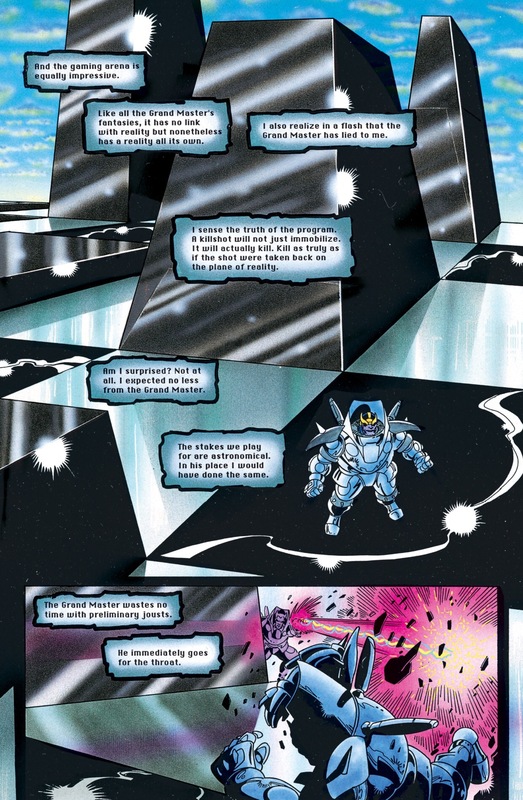 However, along with the other four Elders that had been consumed by Galactus, the Runner caused Galactus “cosmic indigestion” from within until they were forced out of him by Master Order and Lord Chaos. 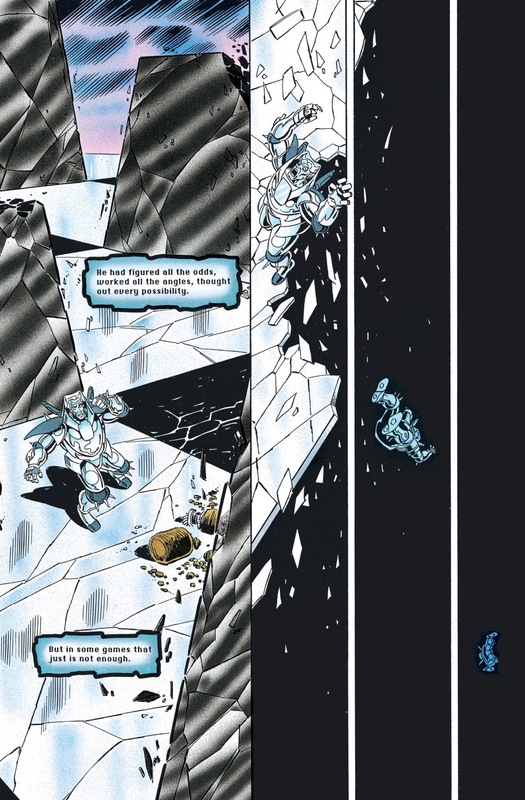 The Runner was one of the four Elders who aided the Silver Surfer and Nova in helping Galactus to defeat the In-Betweener. 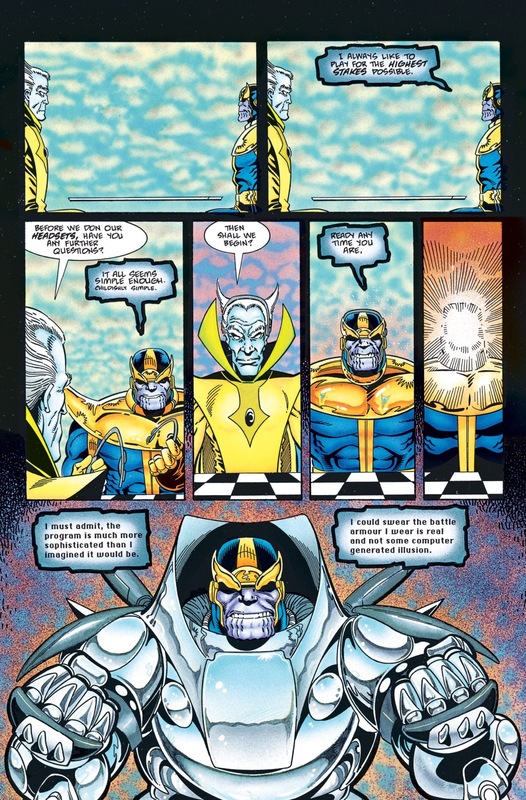 Once that was done the five Elders used the five Infinity Gems they had retained to instantaneously travel very far away from Galactus and his vengeance. 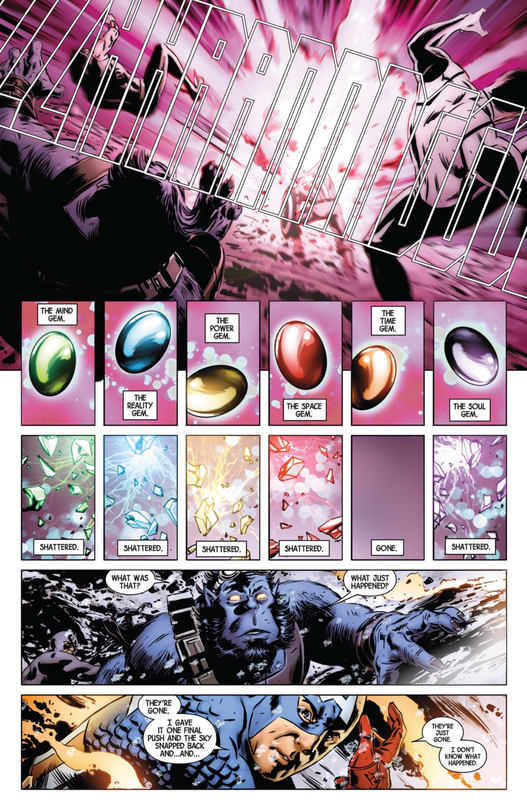 Afterwards, the Runner kept the Space Gem, one of the Infinity Gems. 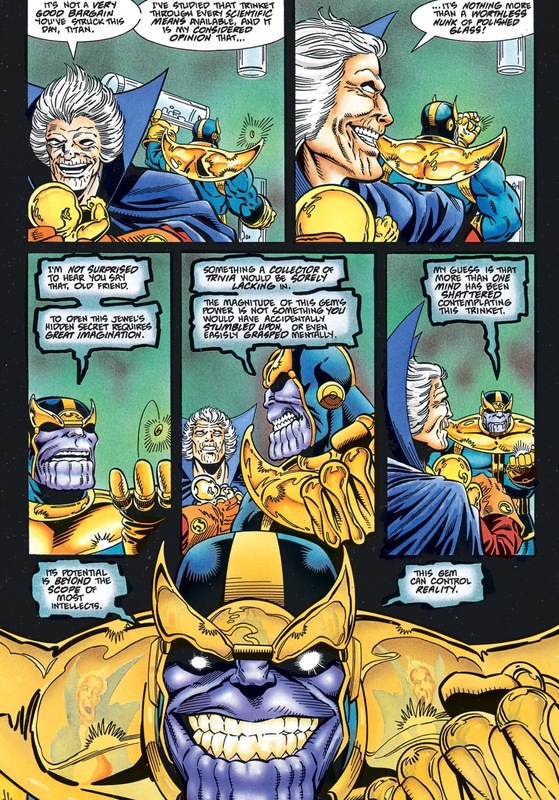 This entry was posted in Infinity Gems, Infinity Guantlet, Infinity War, marvel, Marvel Comics, Space Stone, thanos, The Runner and tagged Champion, Grandmaster, In-Betweener, infinity gems, infinity quest, infinity stones, soul gems, thanos, The Collector, The Gardner, The Runner on May 8, 2016 by lowbrowcomics. 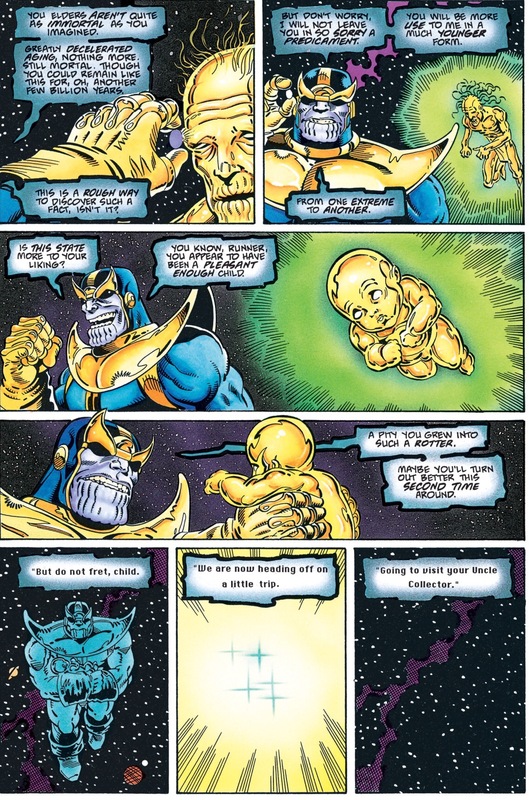 This entry was posted in Infinity Gems, Infinity Guantlet, Infinity War, Reality Stone, thanos, The Collector and tagged Champion, Grandmaster, In-Betweener, infinity gems, infinity quest, infinity stones, soul gems, thanos, The Collector, The Gardner, The Runner on May 8, 2016 by lowbrowcomics. 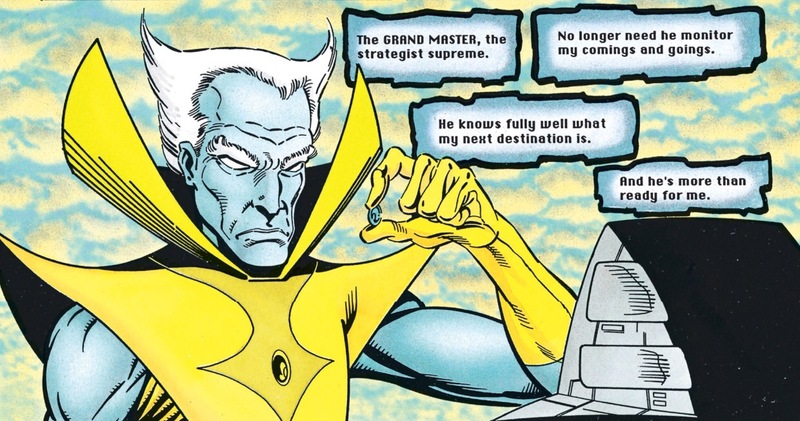 Thanos’s final target is the Grandmaster, a consummate games-man. 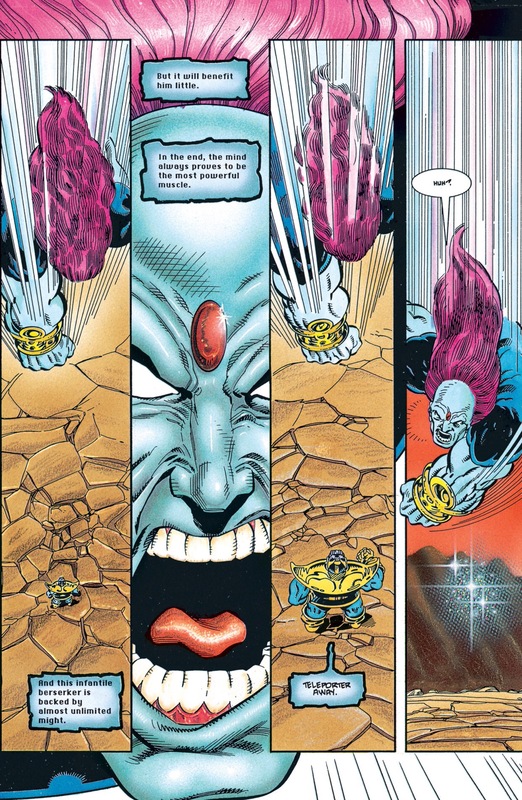 With the final gem, the Mind Gem, imprisoned in a random teleportation device that will only deactivate with his death, he informs Thanos that he cannot have the gem until he bests him in a game of his choosing. 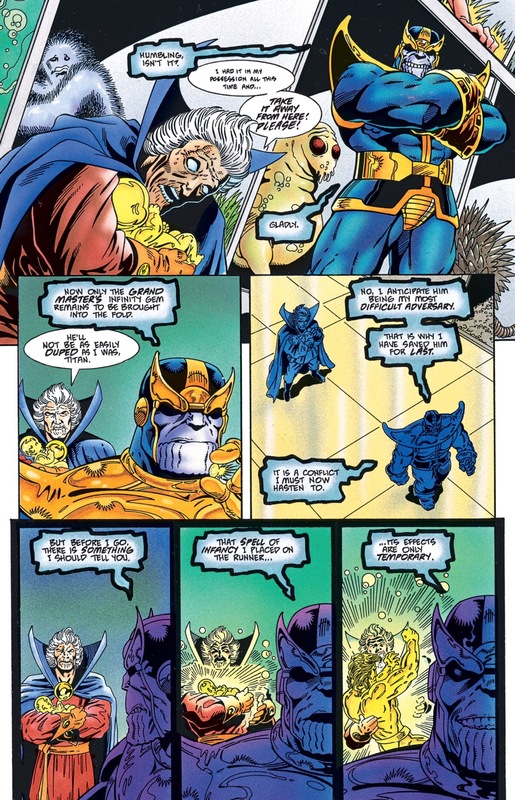 The two then compete in a virtual reality combat game, which Thanos seems to win until it is shown that the Grandmaster had sabotaged Thanos’s weaponry. 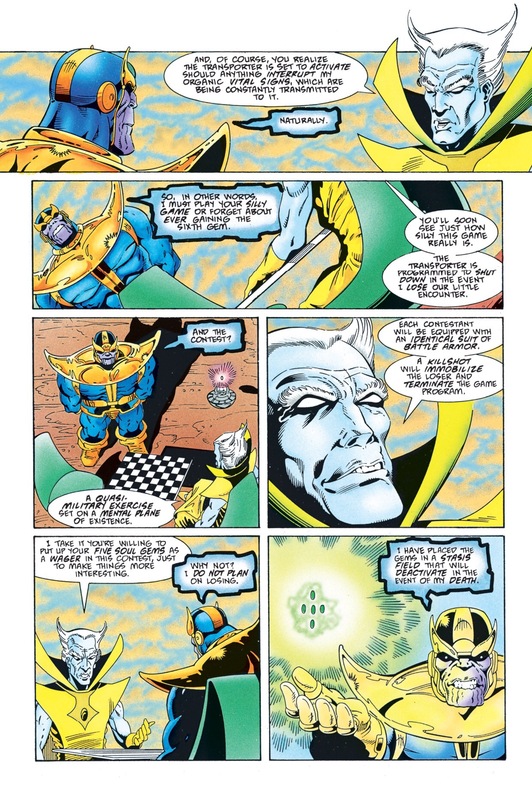 However, Thanos then reveals that the body with which the Grandmaster had been competing was merely a robotic clone of Thanos; its destruction being inconsequential, the real Thanos proceeds to destroy the gaming equipment, killing the Grandmaster and freeing the Mind Gem. 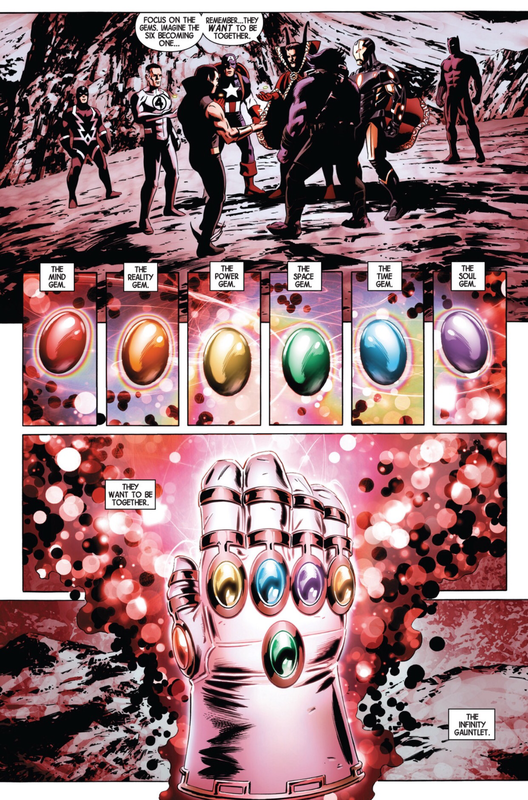 Thanos returns to Death’s sanctum with the six Infinity Gems in his possession, boasting of his achievement and his new-found status as Death’s equal. 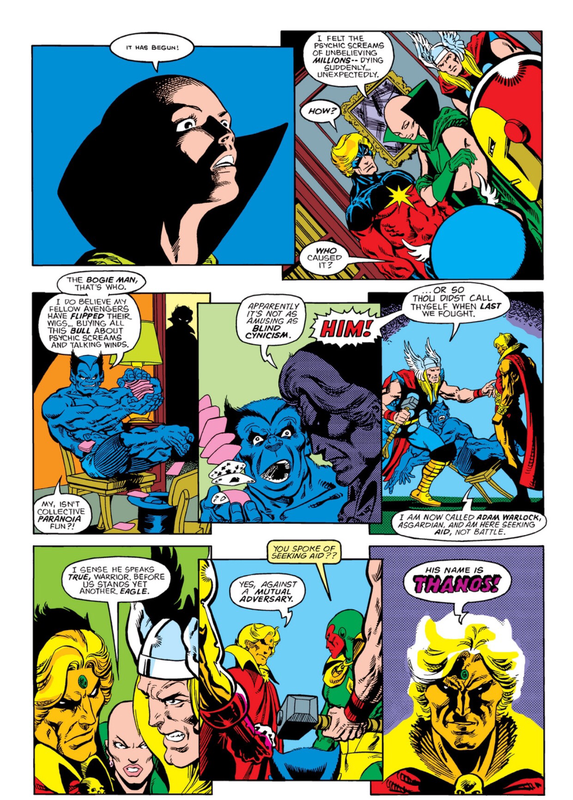 Death congratulates his accomplishment, though still speaks to him through her various minions. 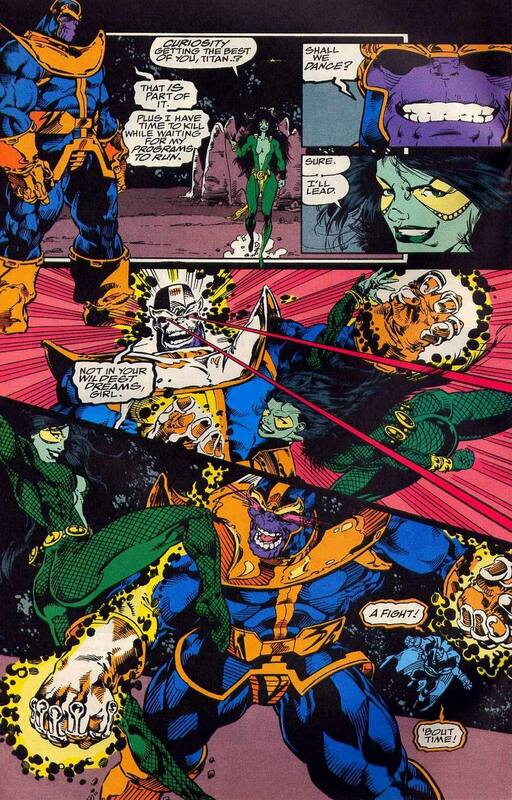 When Thanos demands that Death address him personally as her mate, she points out to him, again through her minions, with his newly achieved status of omnipotence, Thanos is not her equal, but her superior, and that it would therefore not be fitting for her to address him directly. 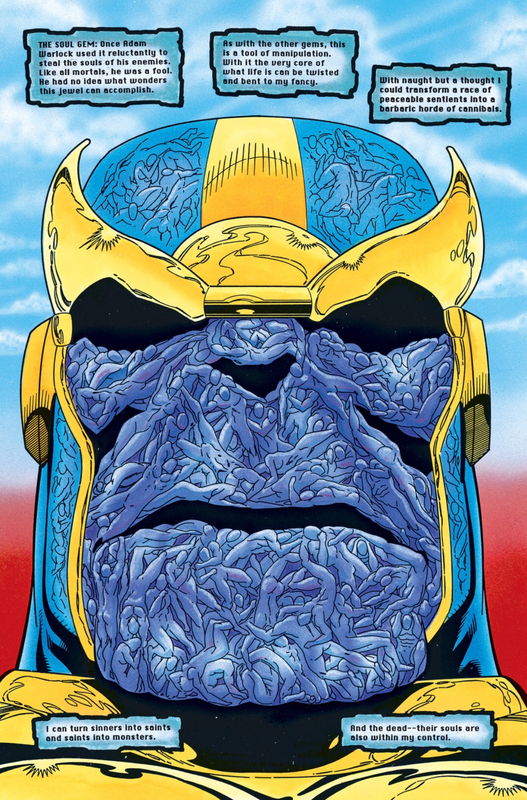 Thanos destroys the minion in a fit of anger and stalks from Death’s throne room, trying to comprehend his miscalculation, and finally wondering, while shedding a tear, how becoming a god could prove such a hollow victory. 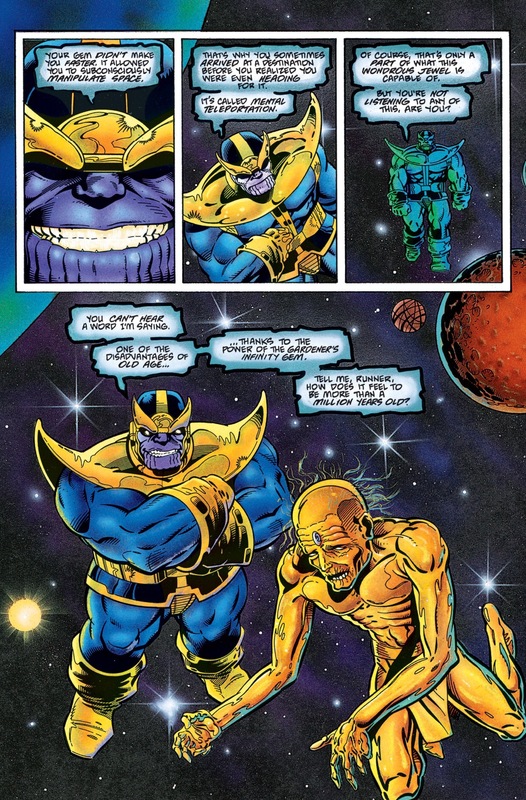 This entry was posted in Infinity Gems, Infinity Guantlet, Infinity War, Marvel Comics, Mind Stone, thanos, The Grandmaster and tagged Champion, Grandmaster, In-Betweener, infinity gems, infinity quest, infinity stones, soul gems, thanos, The Collector, The Gardner, The Runner on May 8, 2016 by lowbrowcomics. 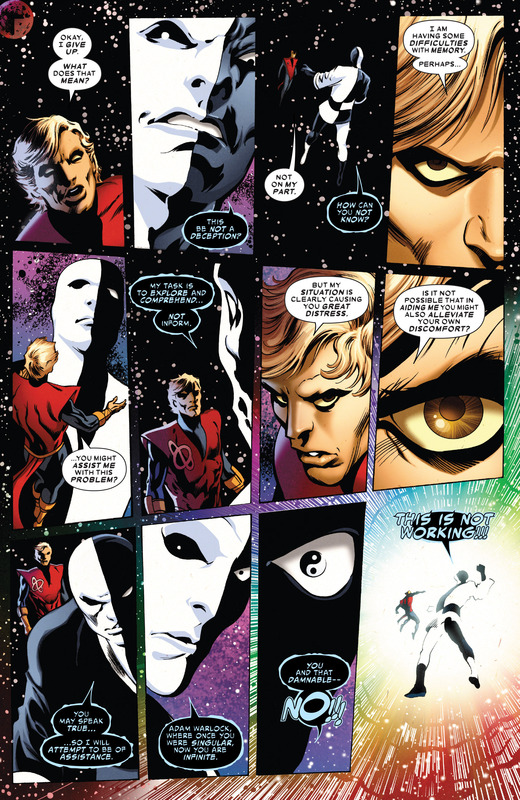 Adam Warlock was created by Earth scientists as an artificial, “perfect” human. 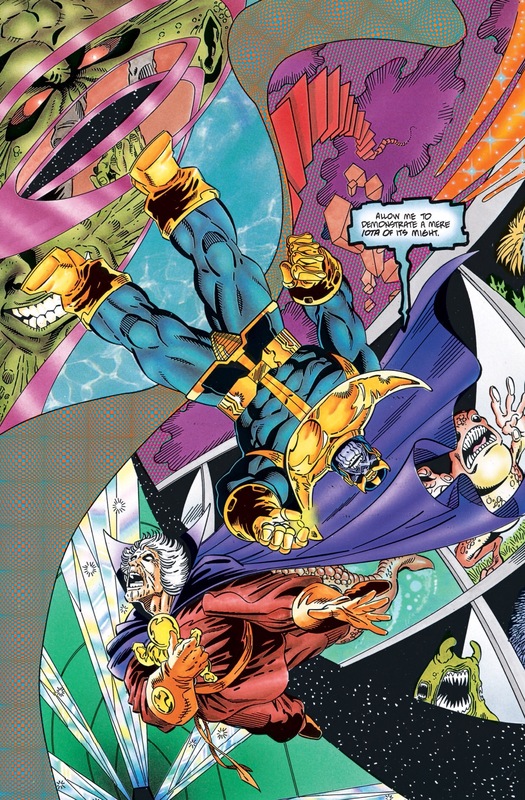 For some time, he explored the cosmos, occasionally allying himself with heroes such as the Infinity Watch and the Guardians of the Galaxy. 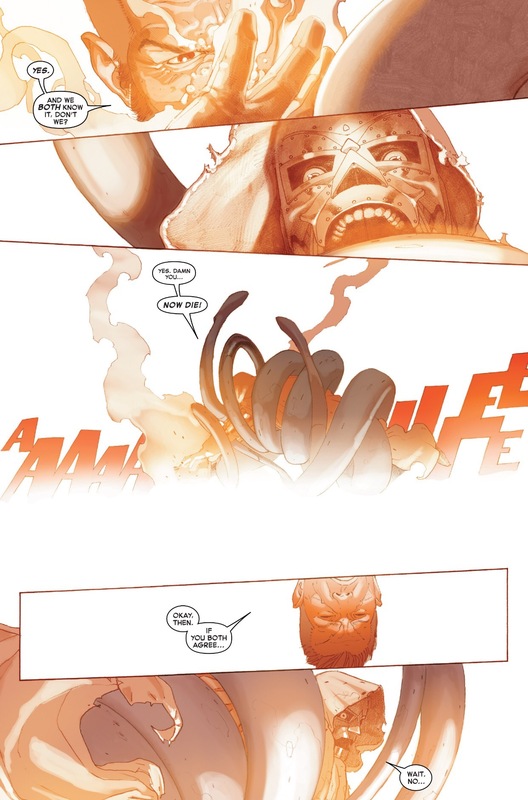 He had a dark side, however — and eventually, in order to prevent his evil self, The Magus, from permanently taking over, he convinced Star-Lord to kill him. 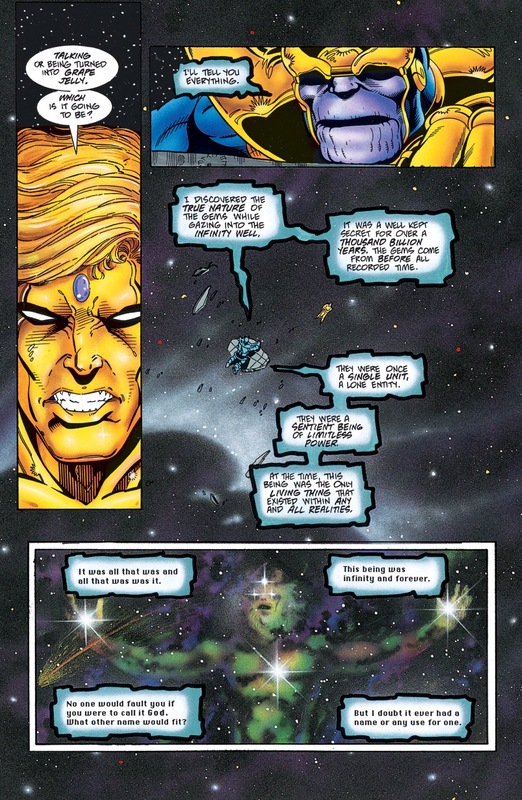 Recently, the Adam Warlock of an alternate reality was reborn in this reality with the help of Thanos, who has been both an ally and enemy over the years. 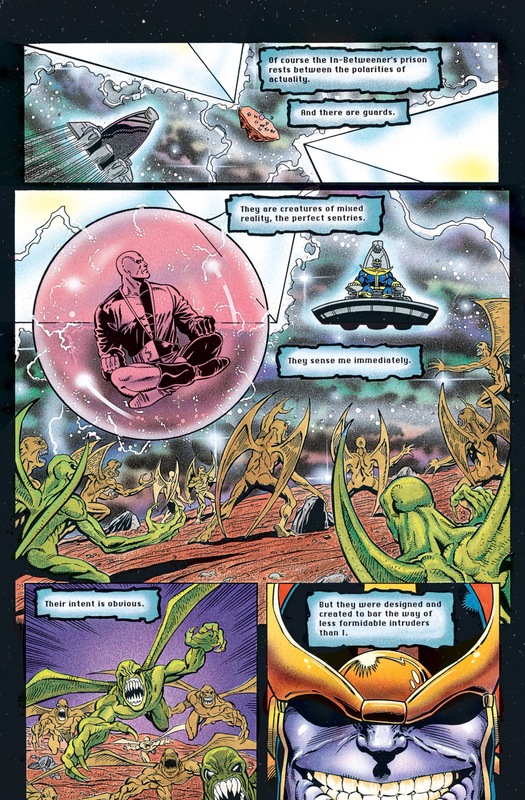 This alternate reality Adam was reborn with vast power and knowledge, as he contained the energy of his former reality within him — but he did not realize the full extent of his new powers. 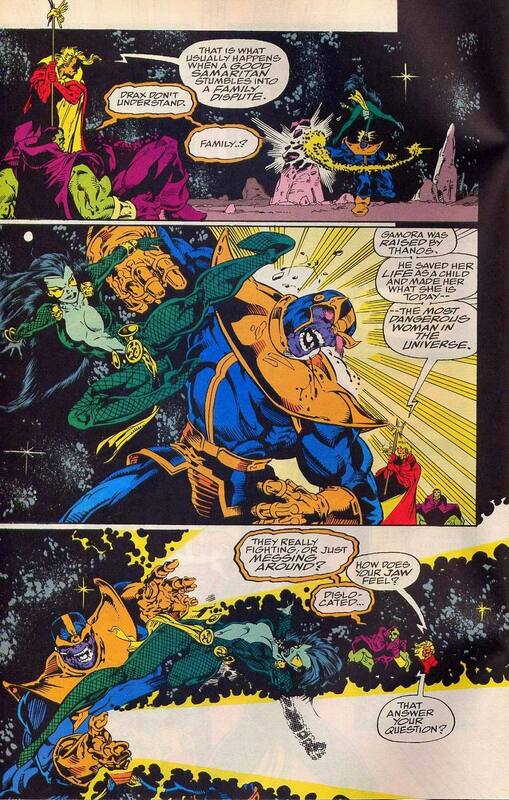 Most recently, he assisted Thanos and the Guardians of the Galaxy in their attempt to thwart Annihilus from taking over the universe. 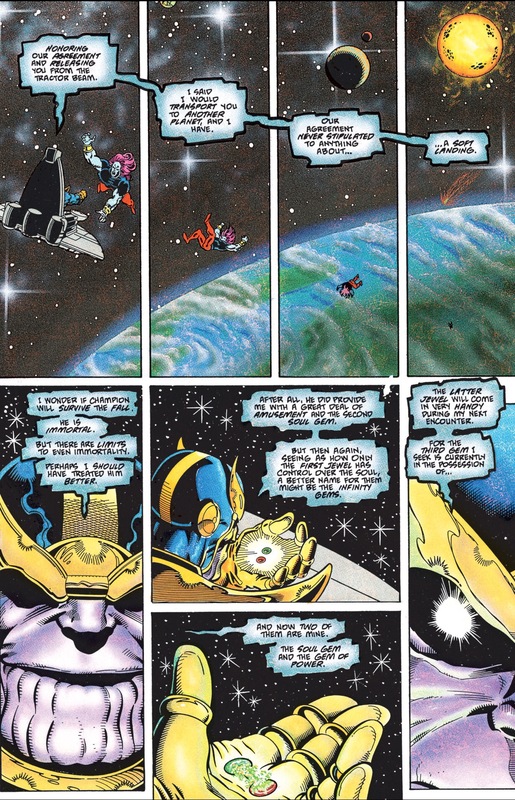 But Annihilus banished Thanos to an empty void, the severely wounded Guardians were forced to retreat, and Warlock was taken prisoner… Until he found himself floating in unfamiliar space, lacking memories and desperate for answers. 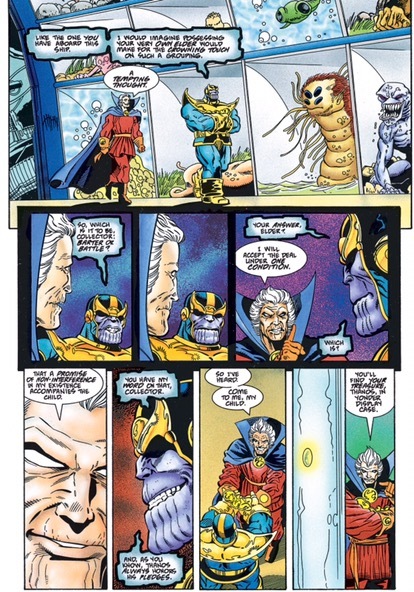 This entry was posted in Adam Warlock, Guardians of the Galaxy, In-Betweener, Infinity Gems, Infinity Guantlet, Infinity War, Marvel Comics, thanos and tagged Annihilus, comic books, Magus, Marvel Comics, Star Lord on April 10, 2016 by lowbrowcomics. 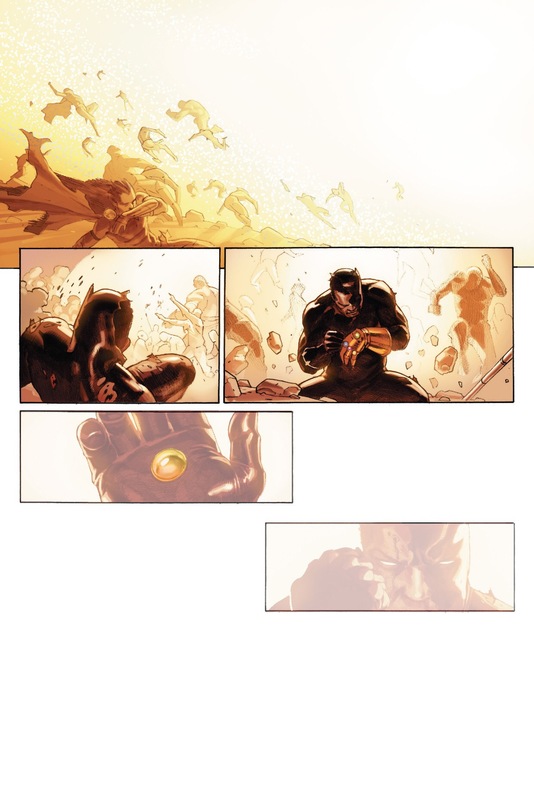 This entry was posted in Fantastic Four, Infinity Guantlet, infinity stones, Time Stone and tagged black panther, Dr. Doom, infinity stones, Reed Richards, secret wars on January 15, 2016 by lowbrowcomics. 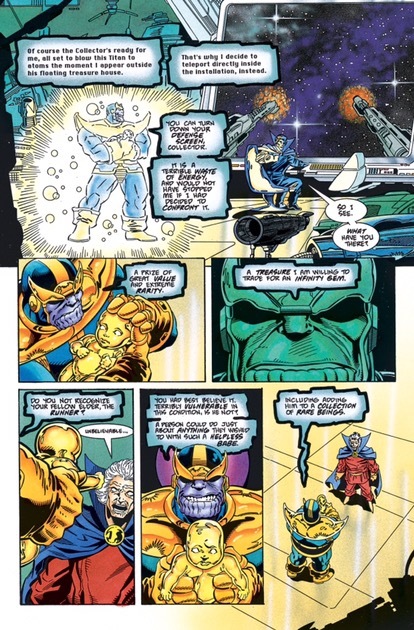 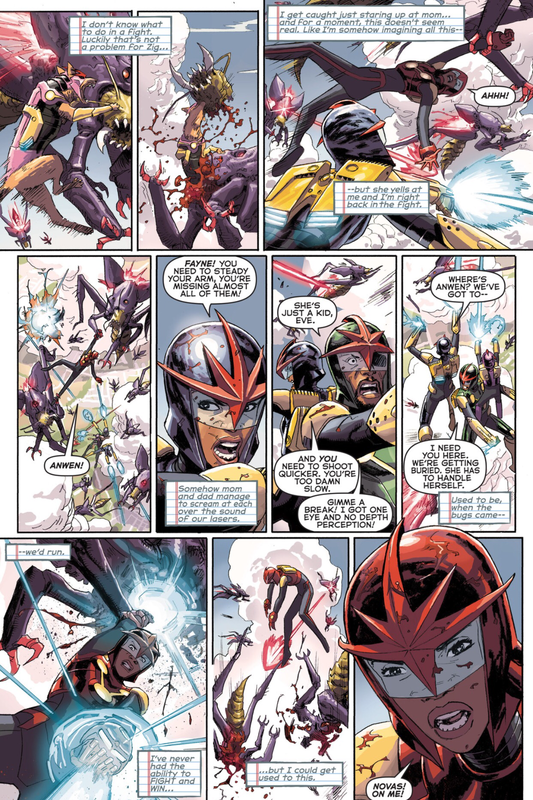 This entry was posted in Battleworld, Infinity Gems, Infinity Guantlet, mind gem, Mind Stone, Secret Wars and tagged battleworld, infinity gems, mind gem, Nova Corps., secret wars, thanos, The Infinity Guantlet on June 24, 2015 by lowbrowcomics.